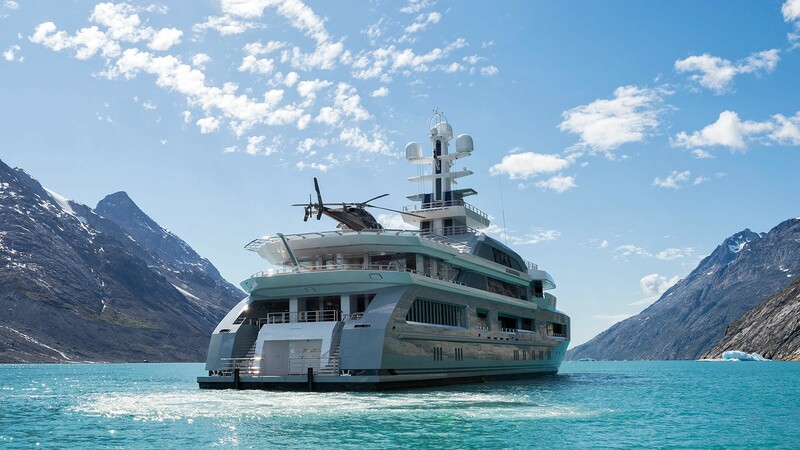 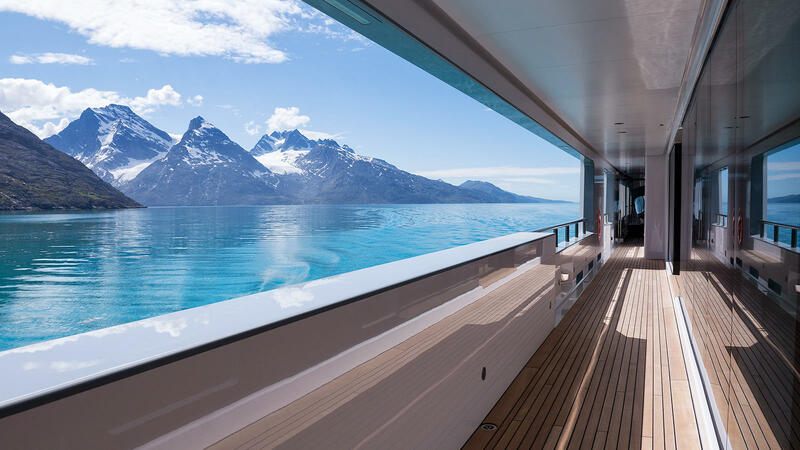 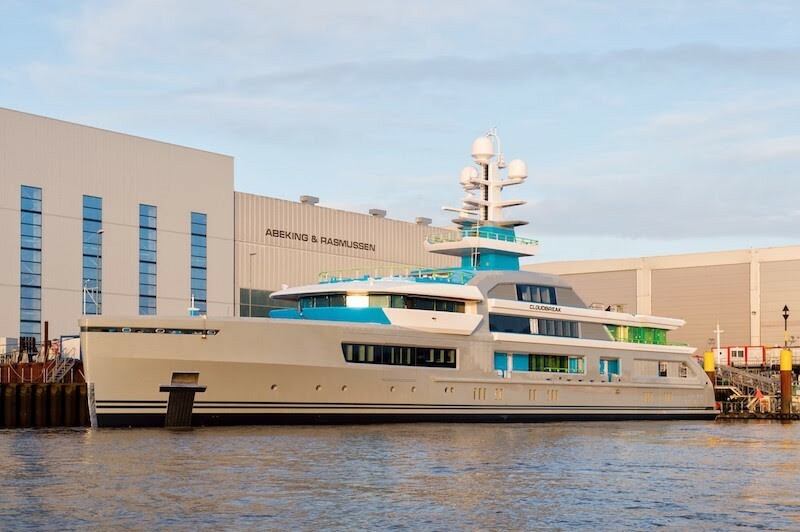 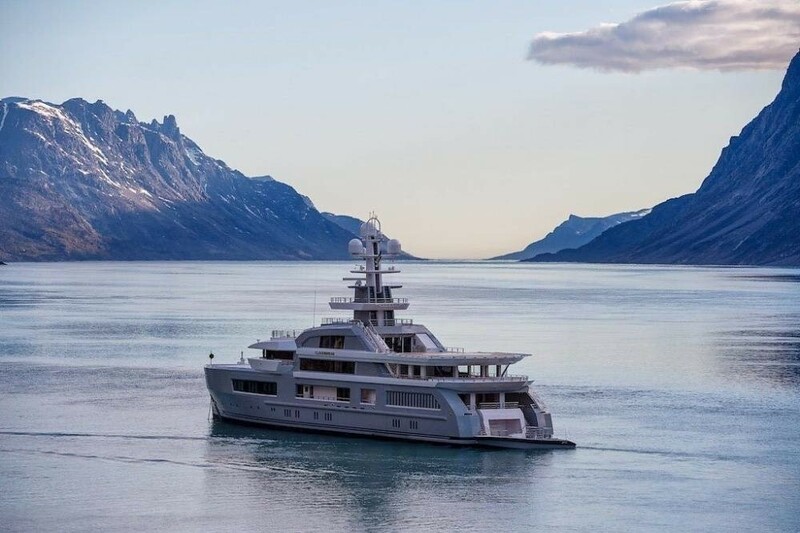 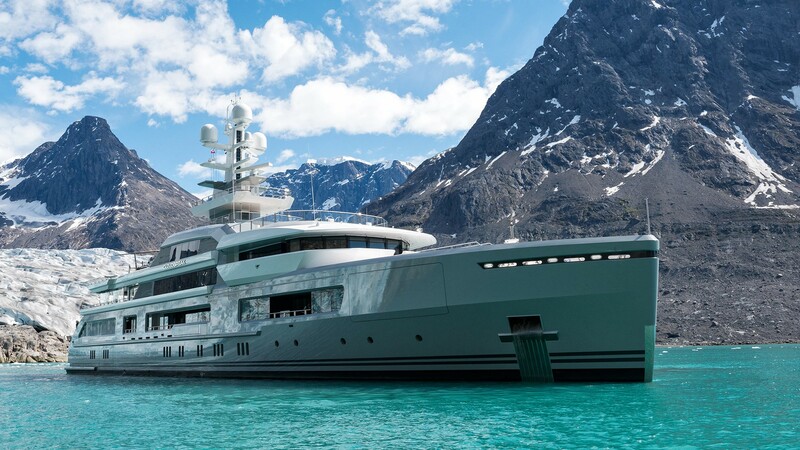 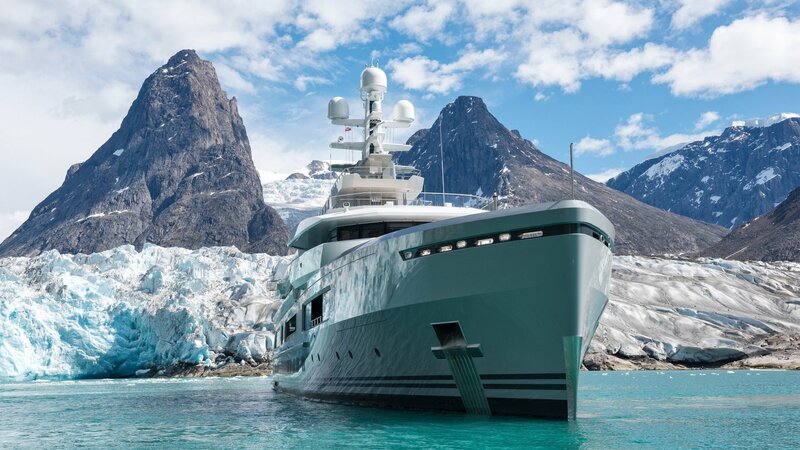 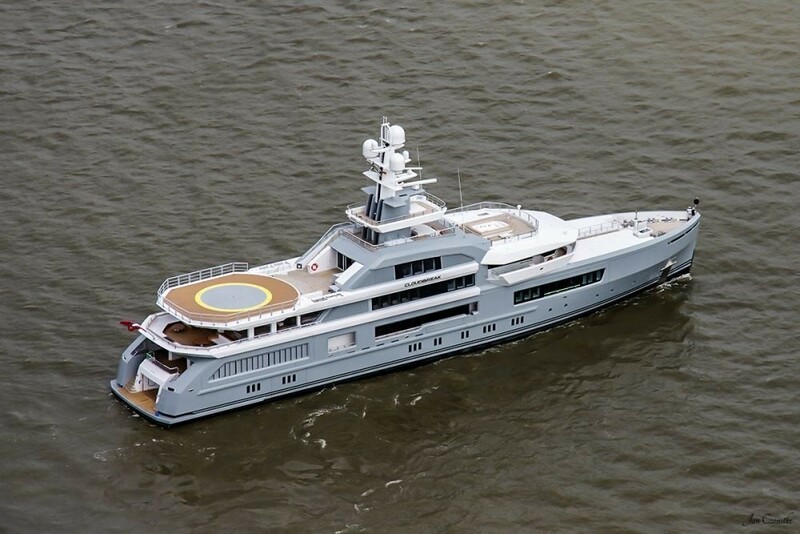 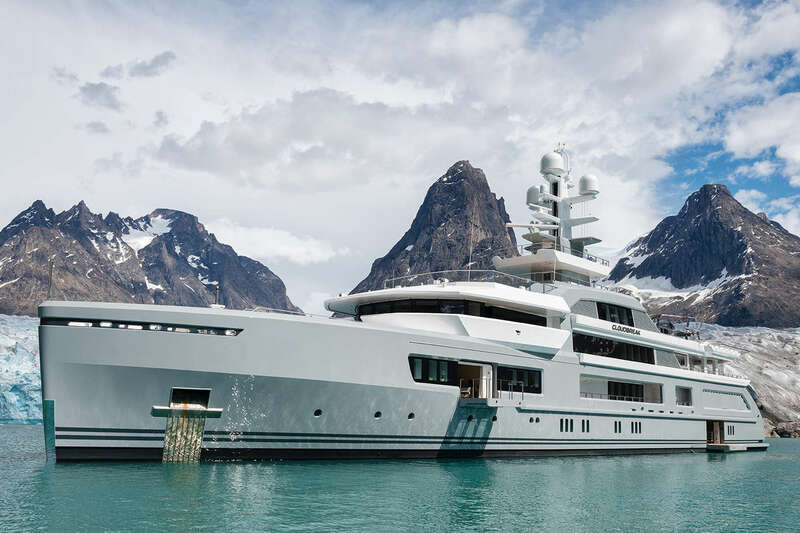 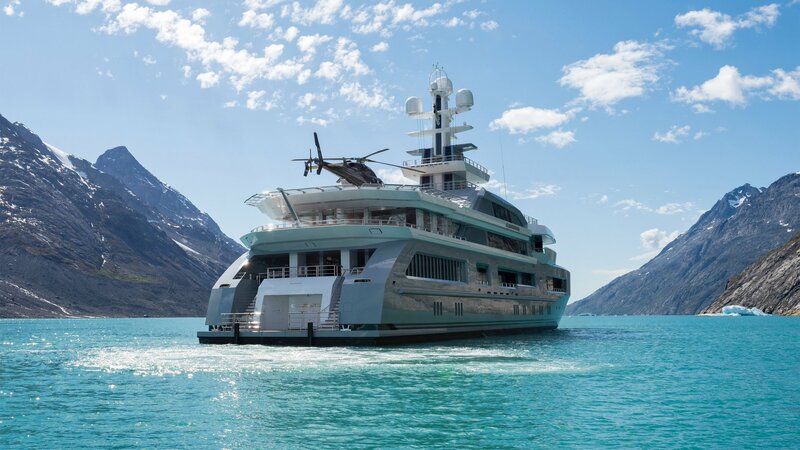 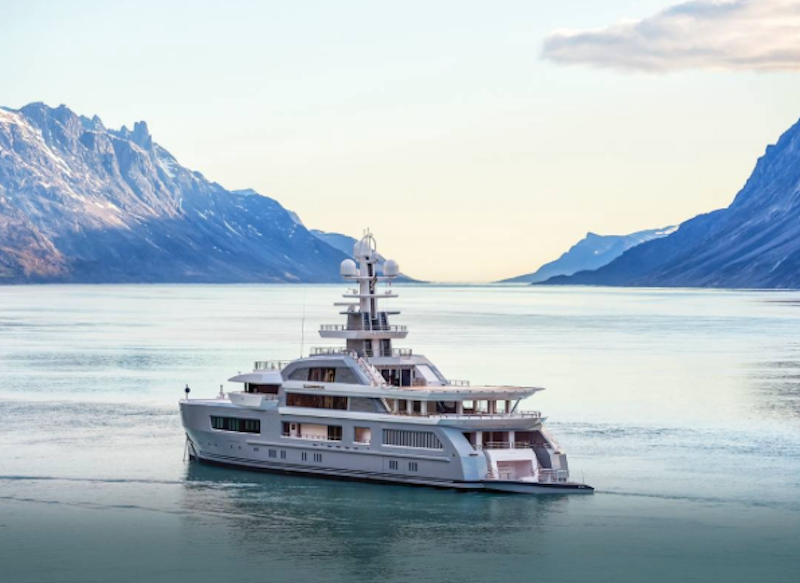 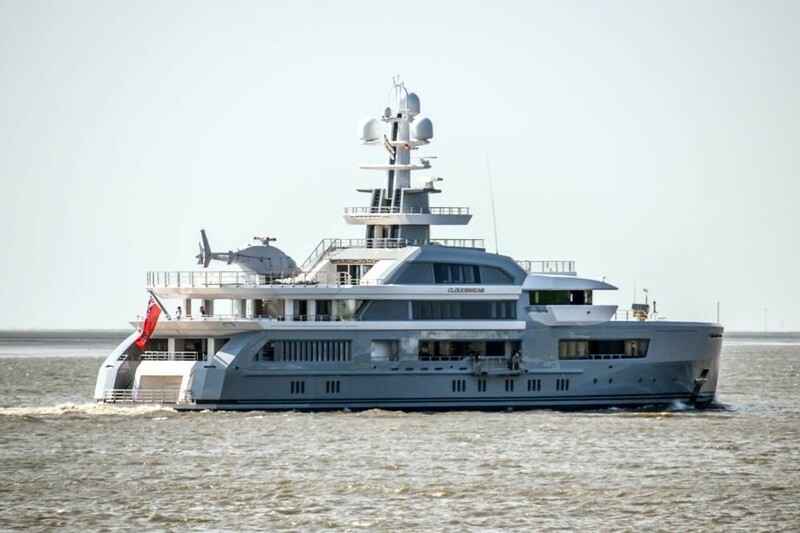 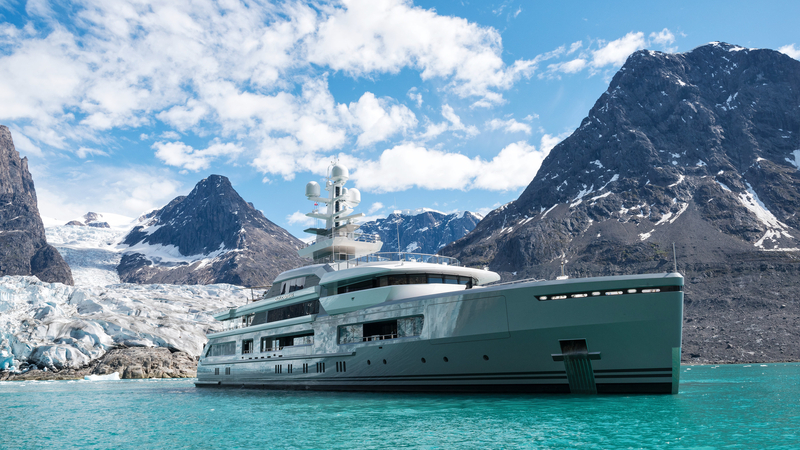 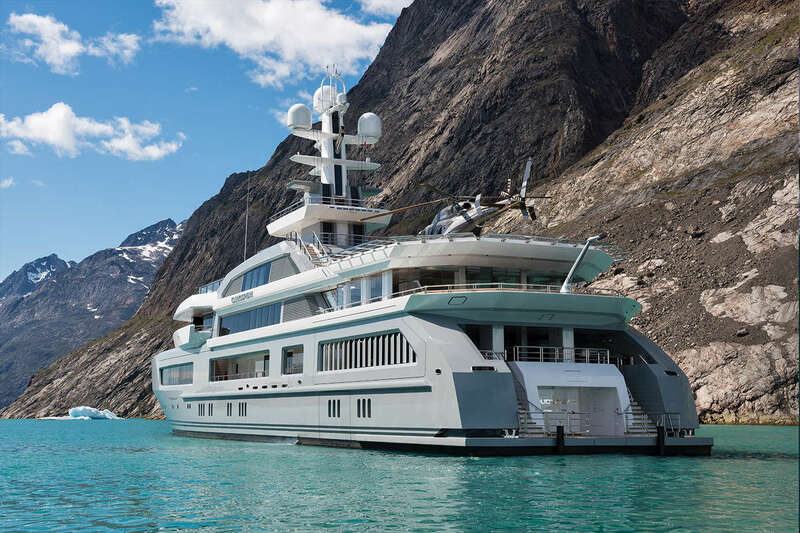 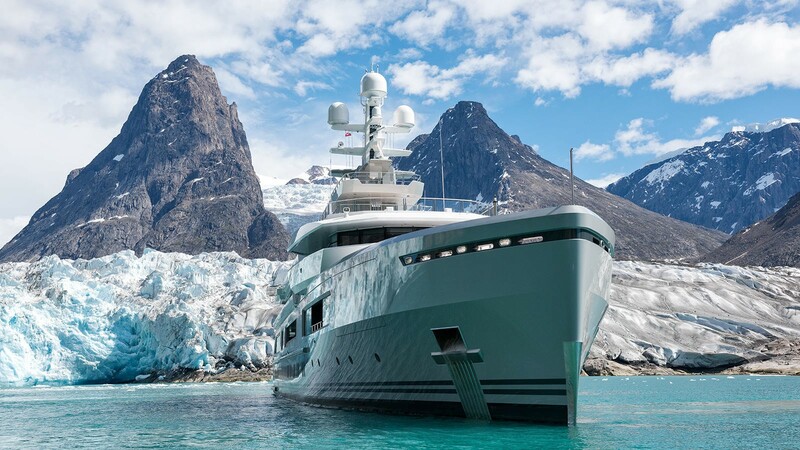 Launched in 2016, the 72.5m (236'22') luxury superyacht CLOUDBREAK represents yet another magnificent vessel built by the renowned German shipyard Abeking & Rasmussen. 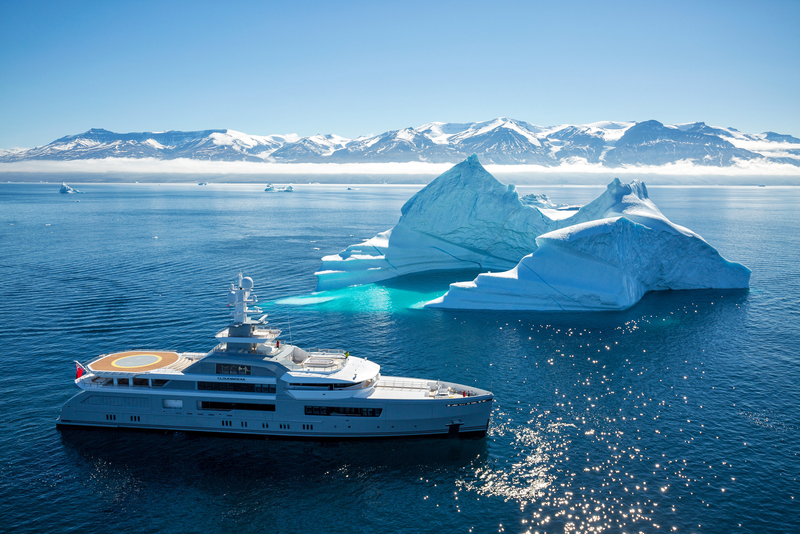 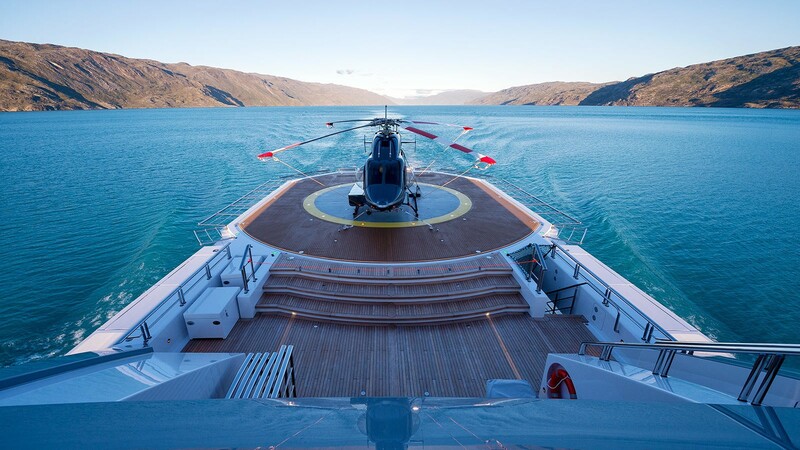 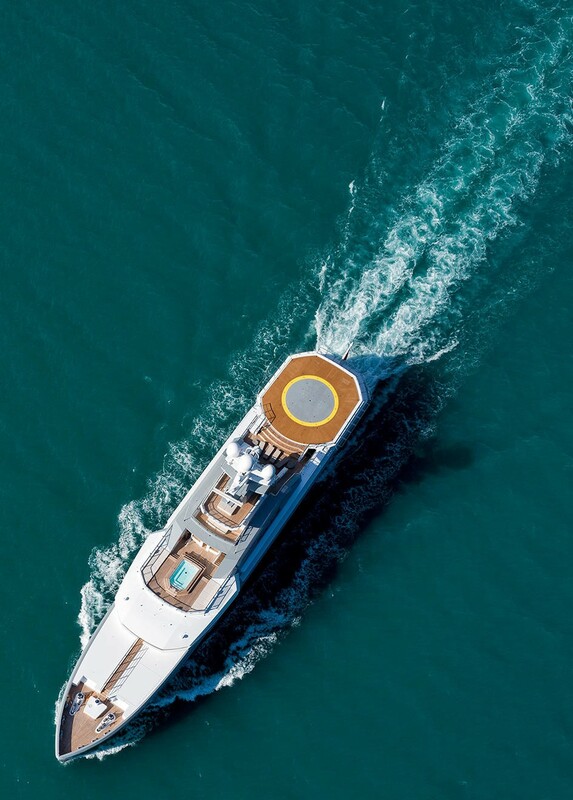 Designed by the acclaimed designer Espen Oeino with interiors by Christian Liaigre, CLOUDBREAK is a striking and head-turning mega yacht cruising our waters. 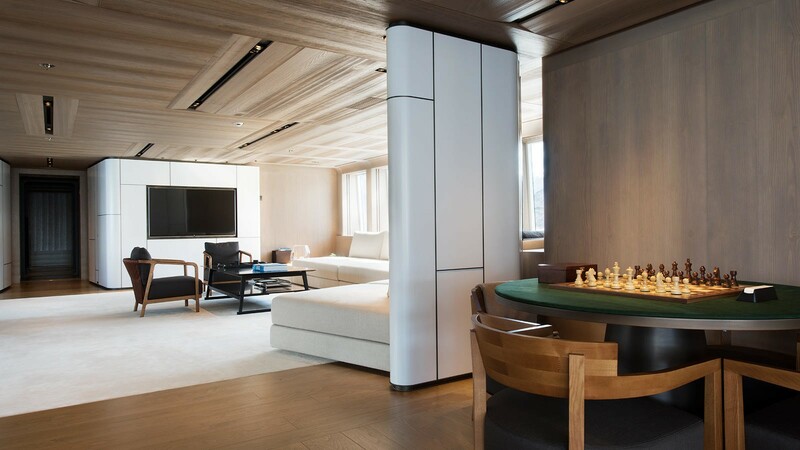 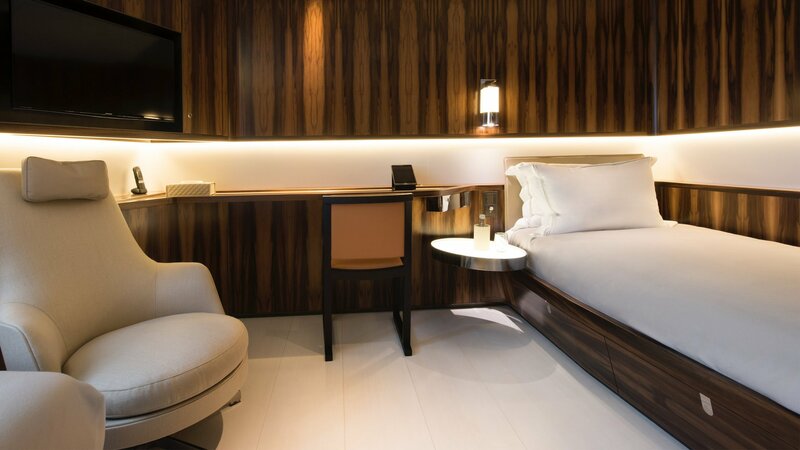 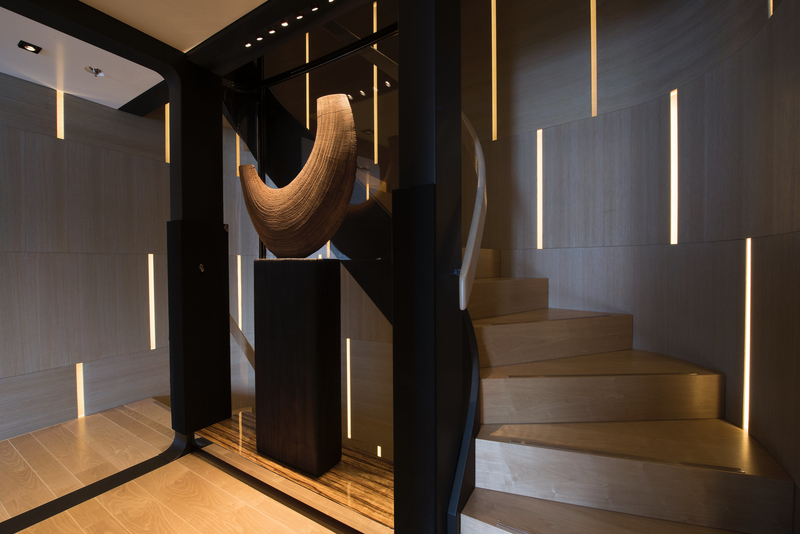 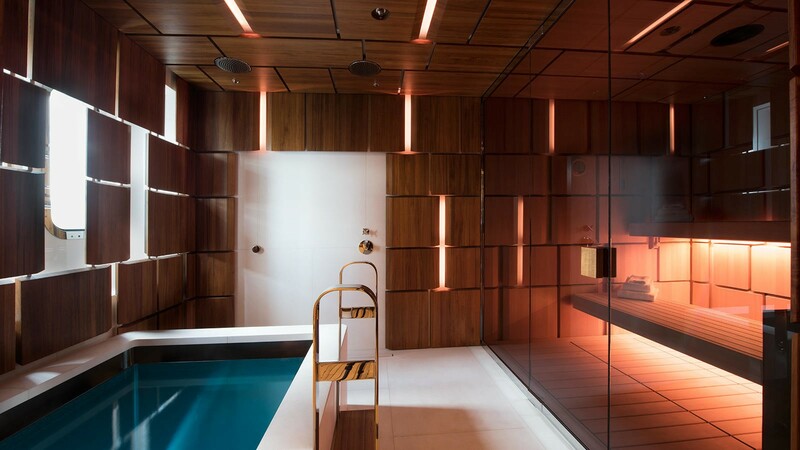 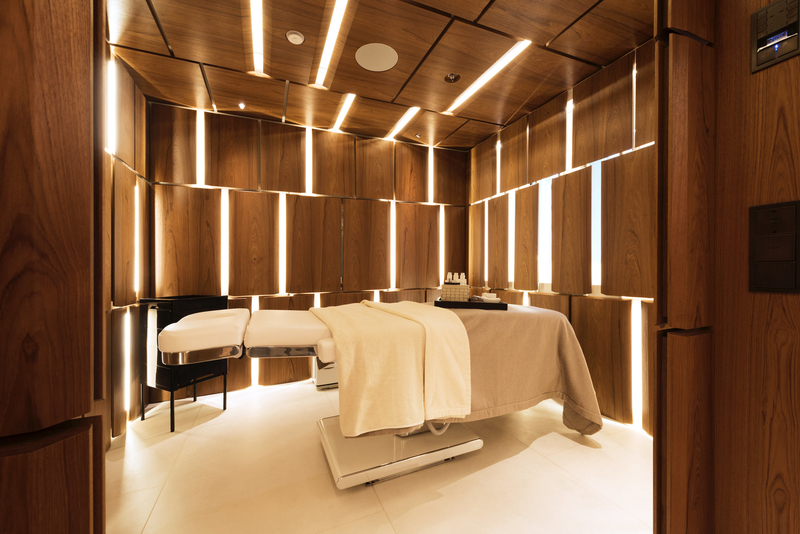 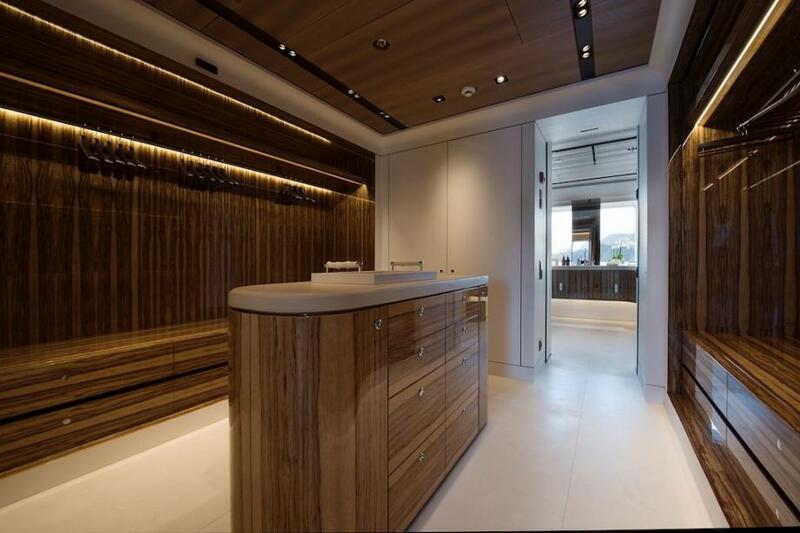 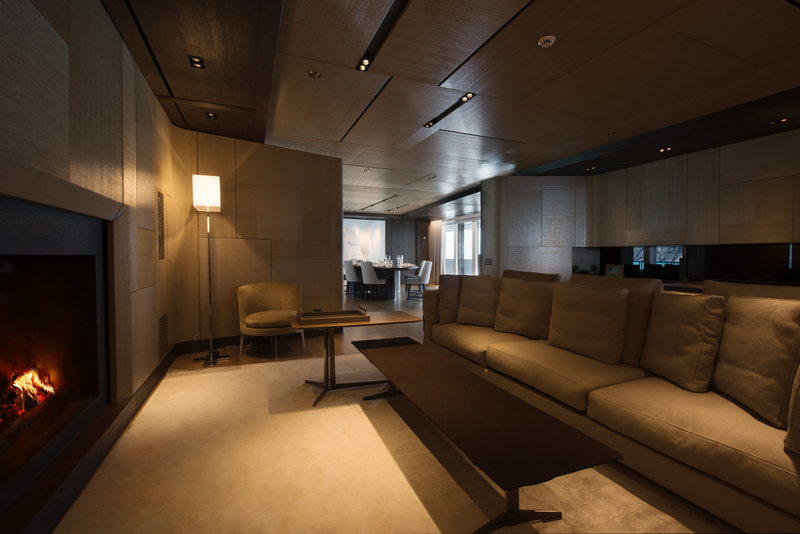 The interior design features subtle tones, with beautiful light woods and lacquered elements. 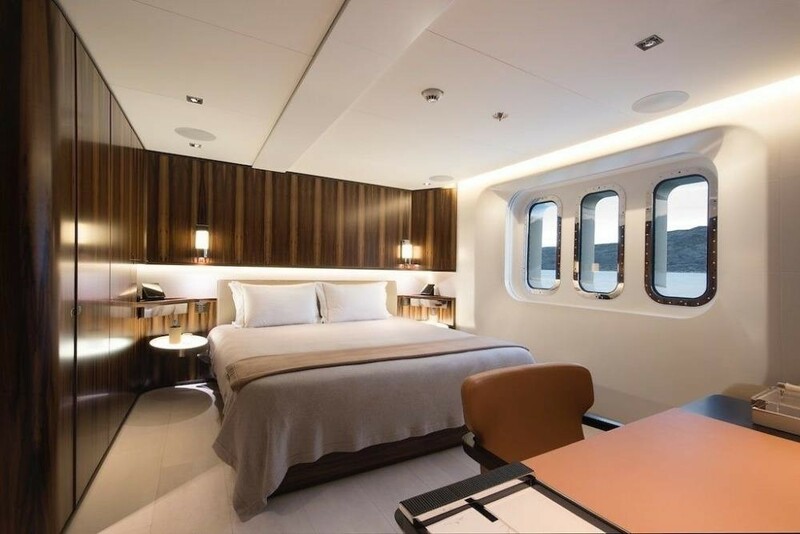 A warm and inviting atmosphere onboard is also attributed to the large windows, which not only provide great panoramic views but also enlight the spaces. 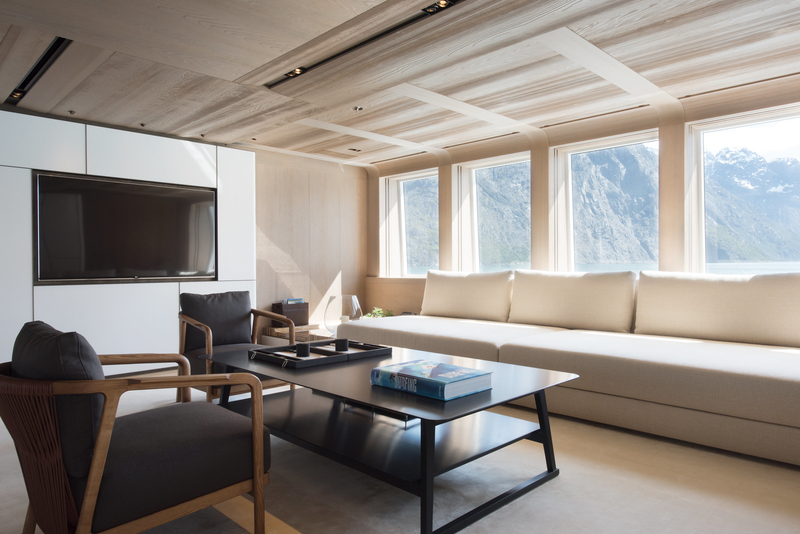 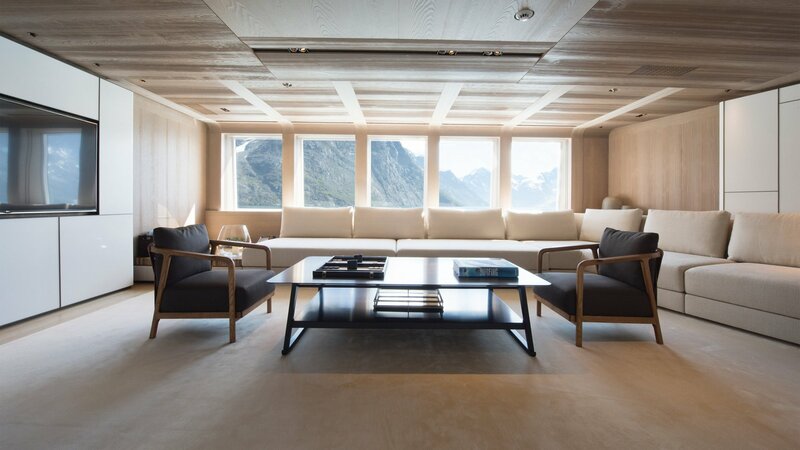 What can be better than relaxing in a comfortable lounge area in front of the fireplace after a day of heli-skiing, or surfing or exploring remote destinations? 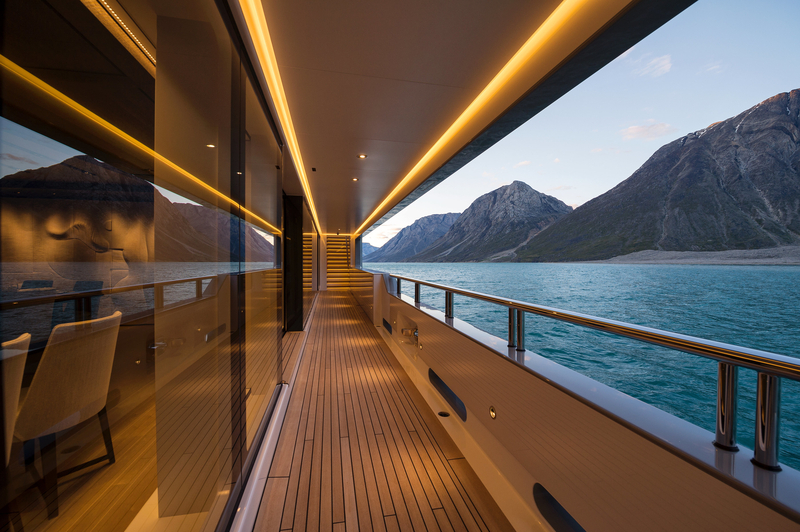 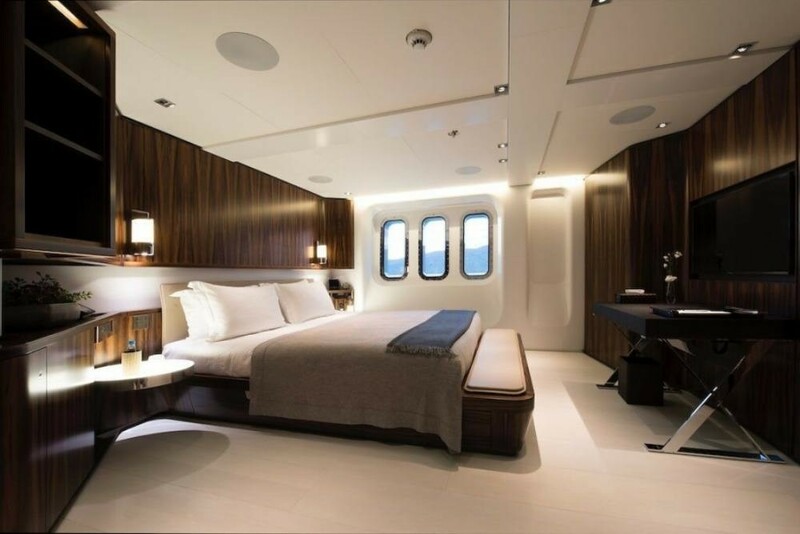 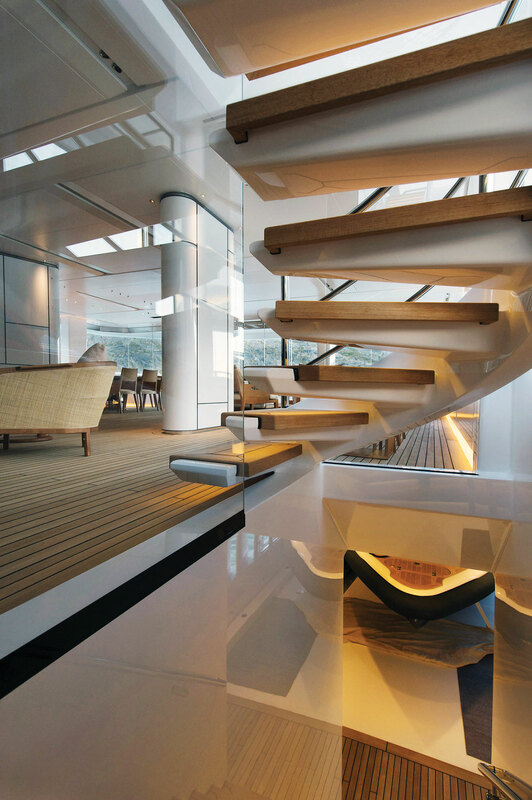 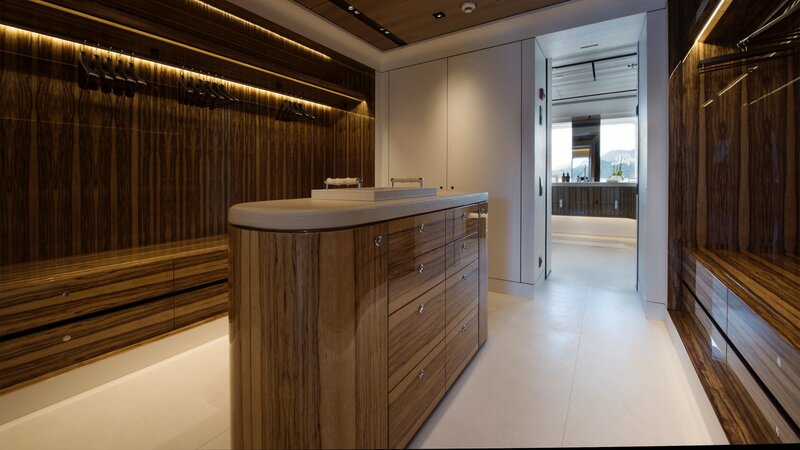 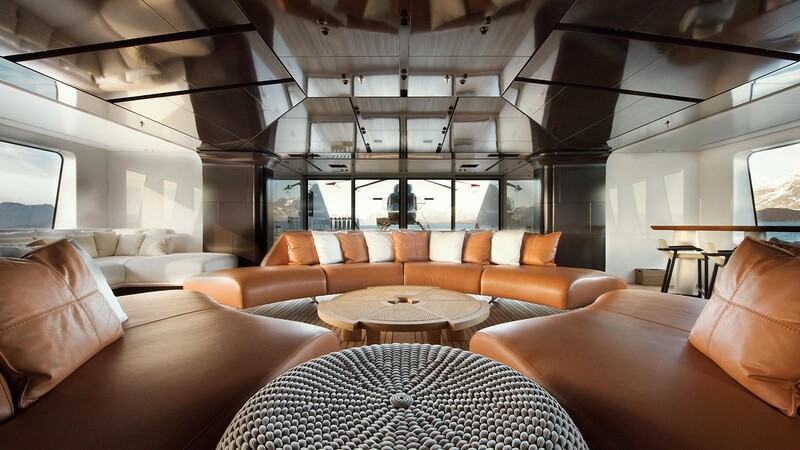 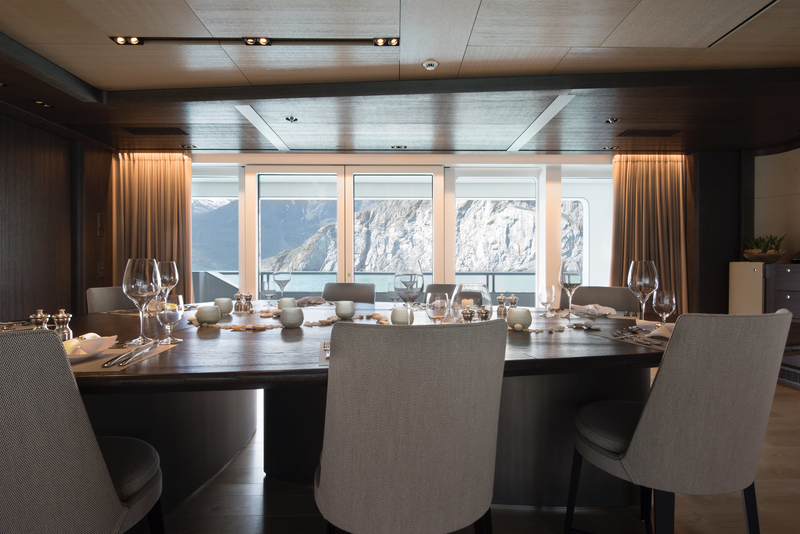 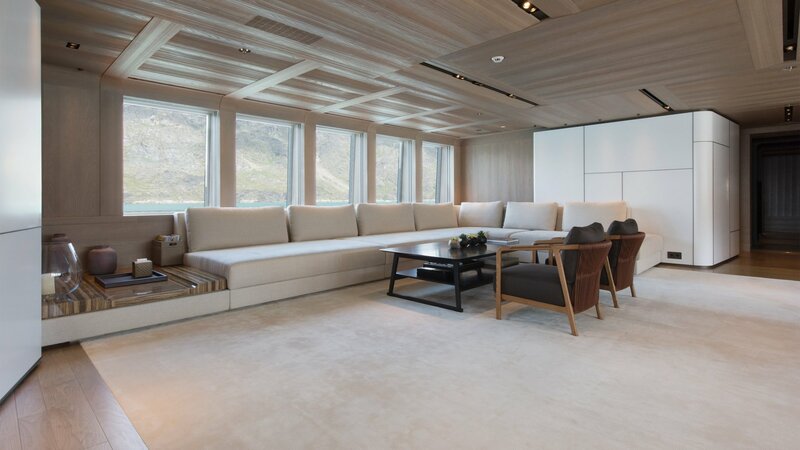 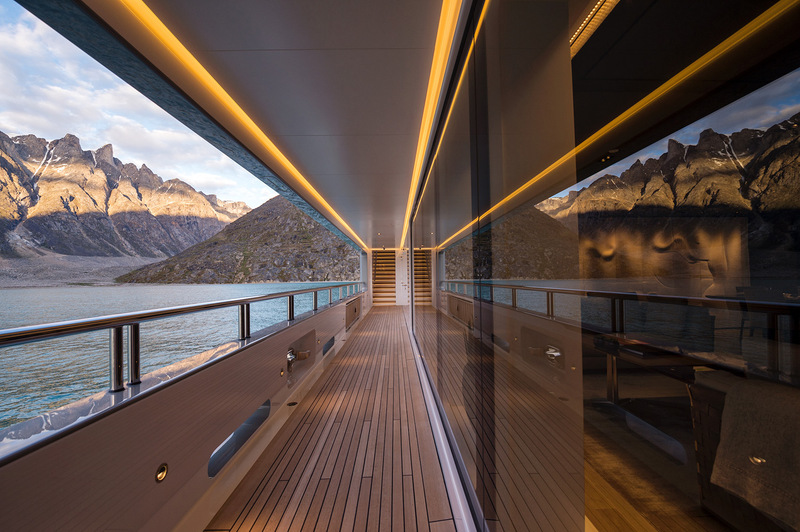 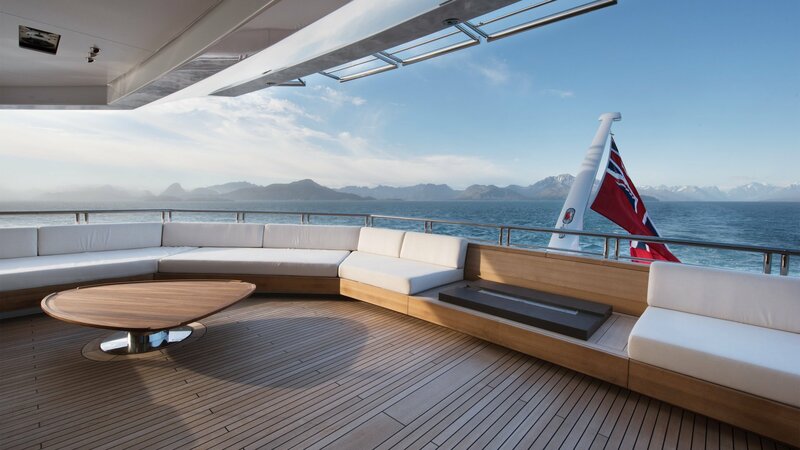 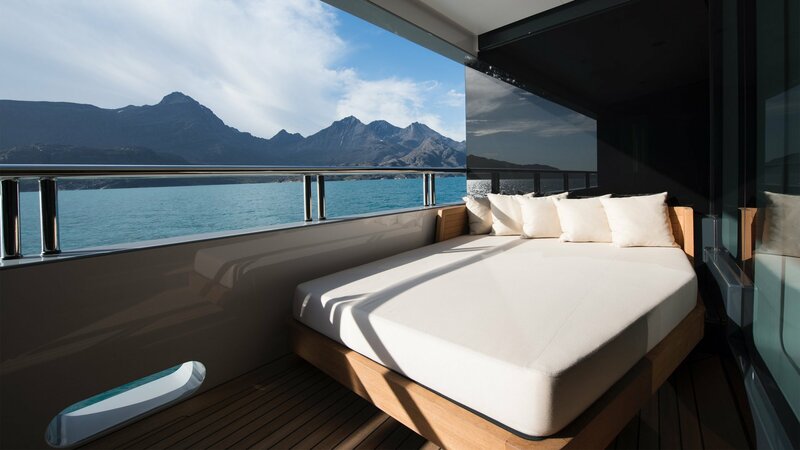 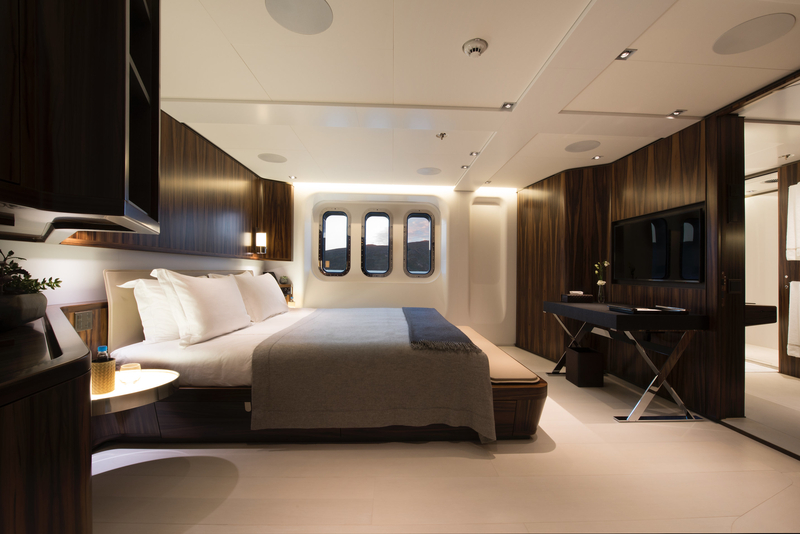 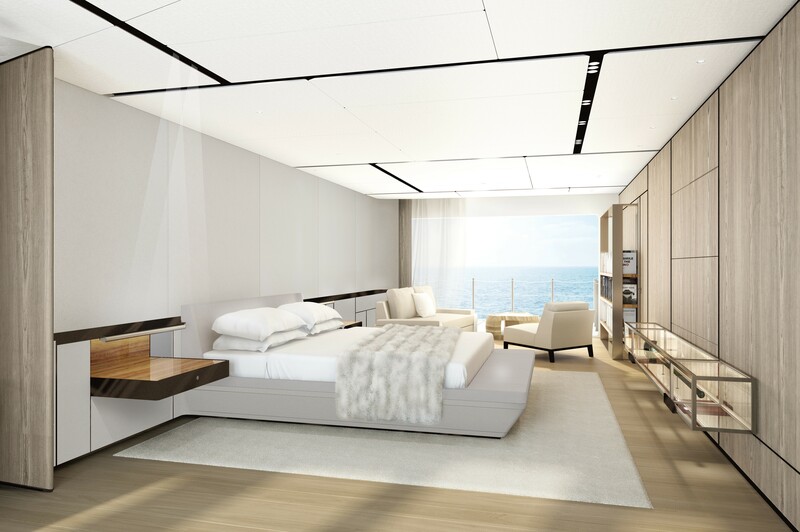 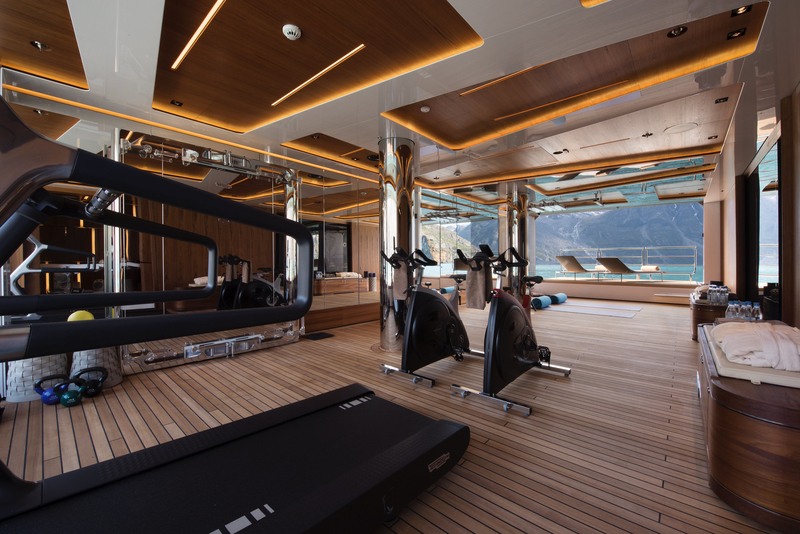 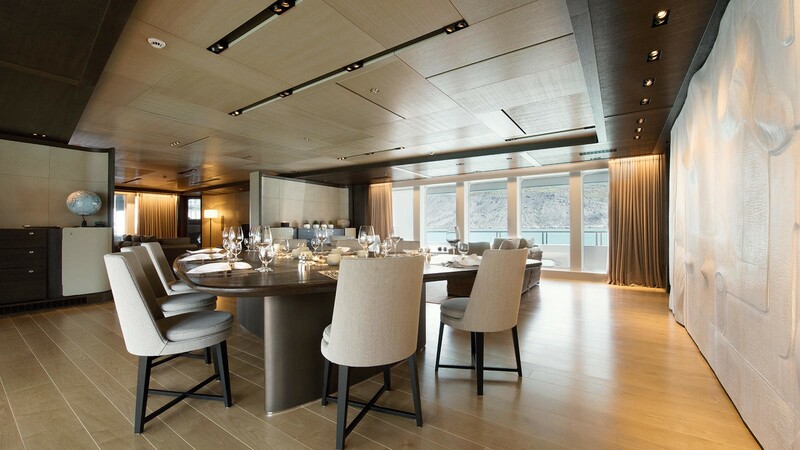 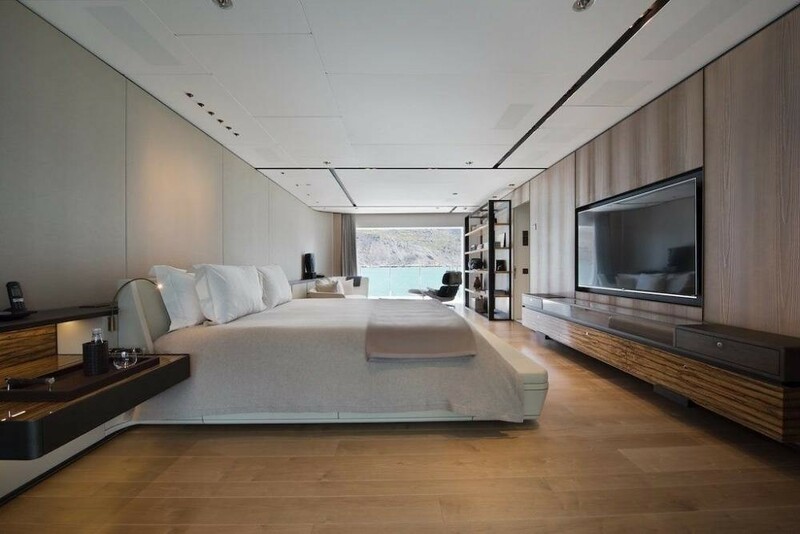 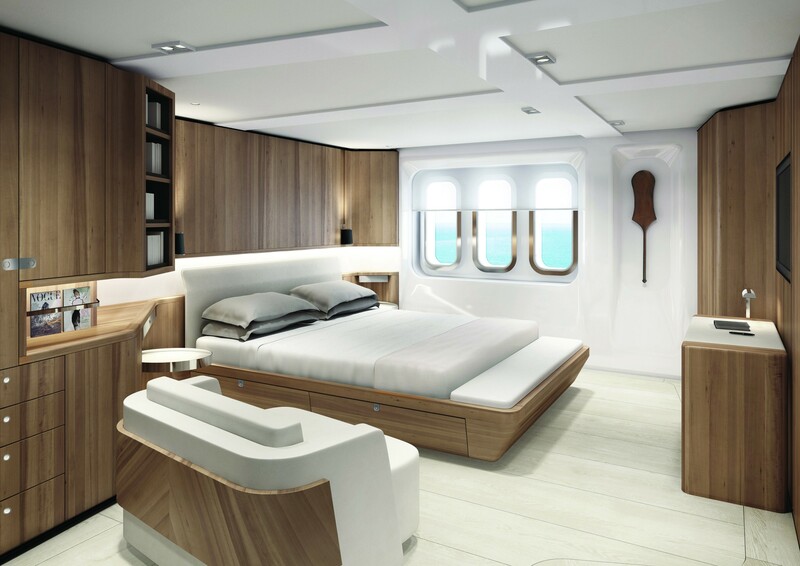 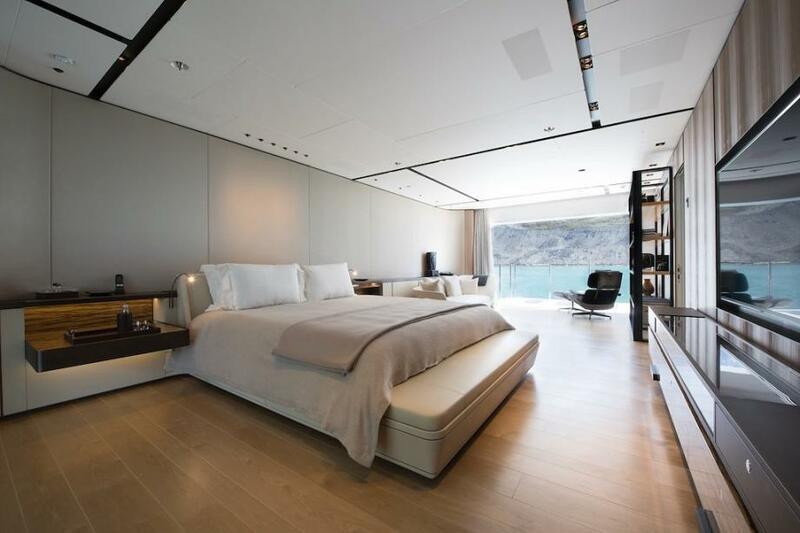 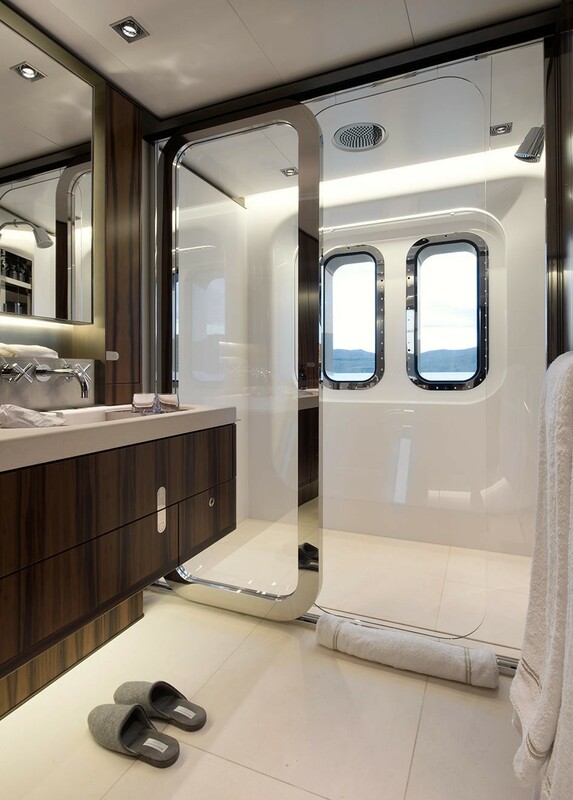 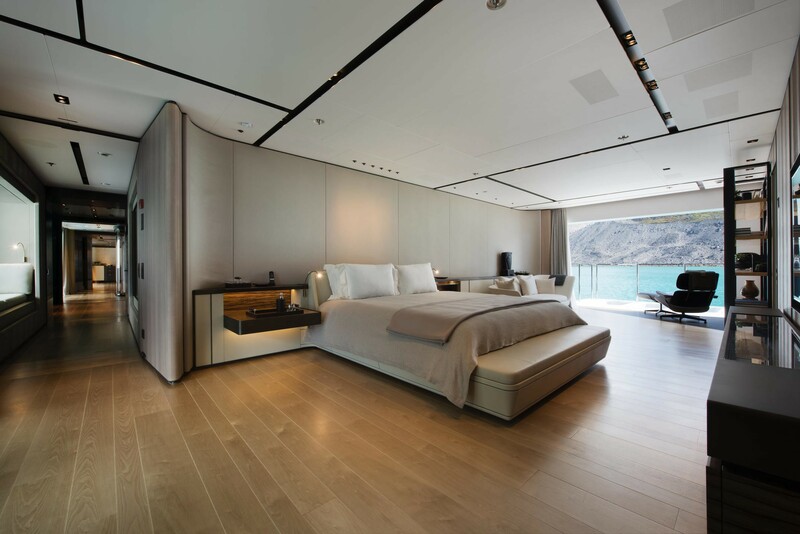 The designers of the interior worked closely with the yacht's owner to ensure an ultimate level of comfort. 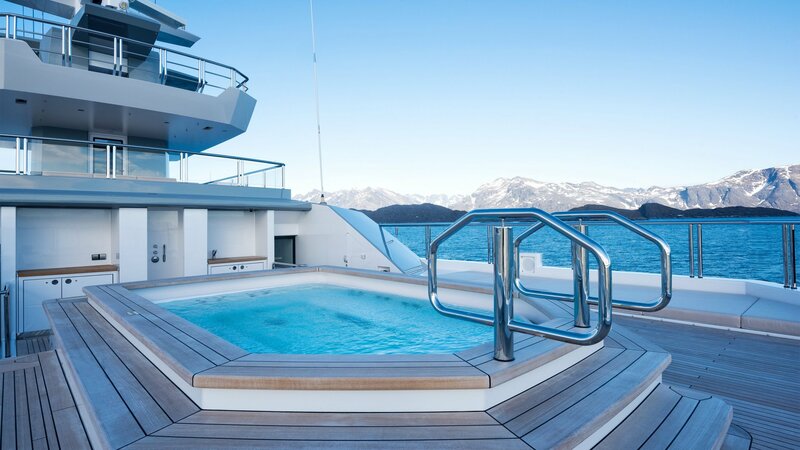 Thus, there is another fantastic feature that will make a yacht charter vacation aboard this lavish vessel luxurious. 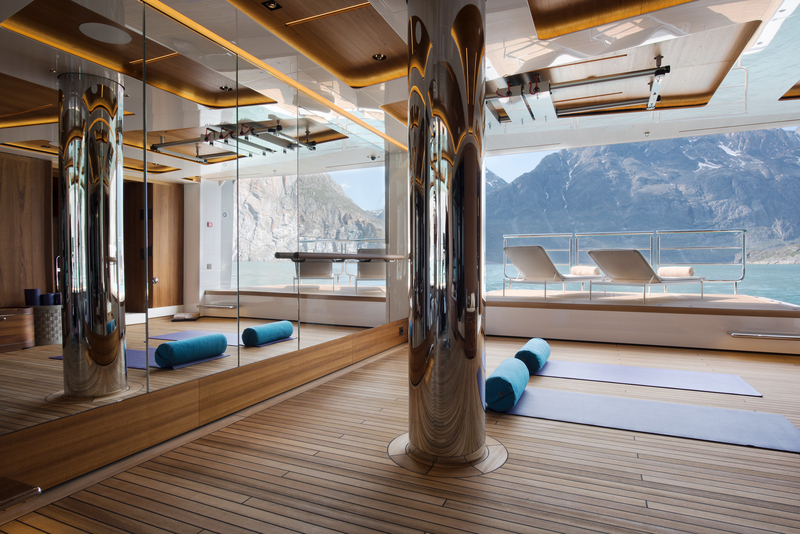 There is a massive beach club, which boasts a massage room, sauna, gym, connected by a long corridor with the guest cabins. 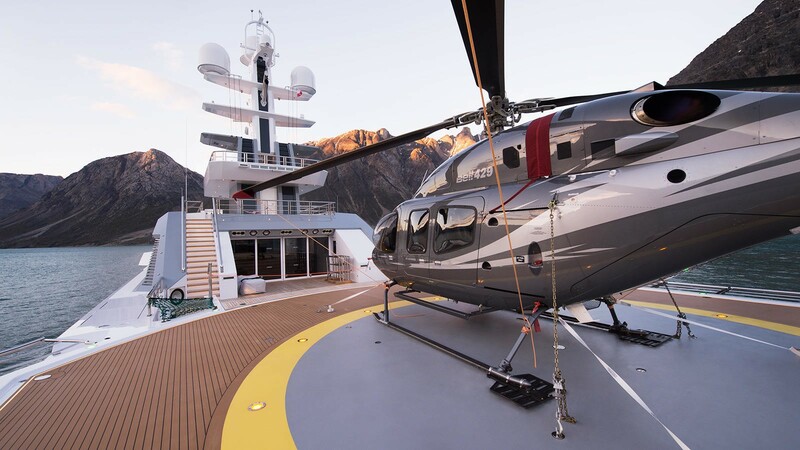 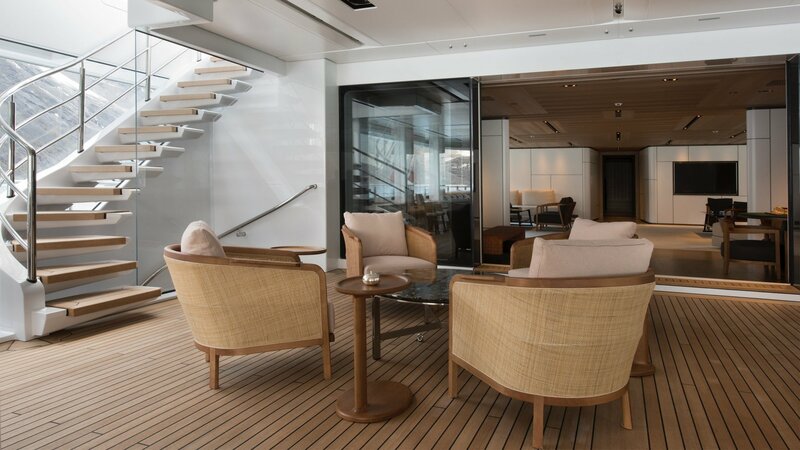 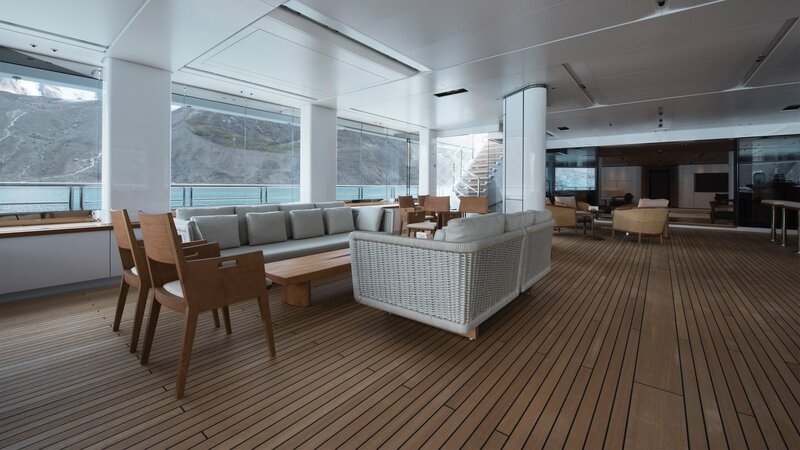 Charter guests can unwind in style in the winter garden on the upper deck, while the highly-professional crew of 22 will take care of everything onboard. 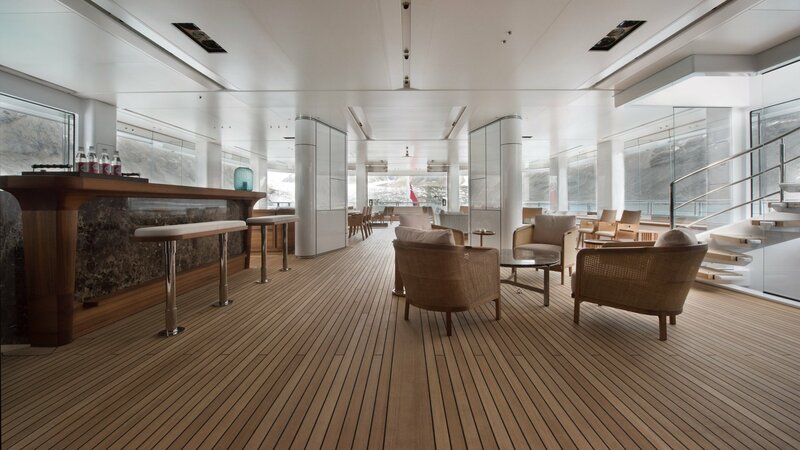 The winter garden can transform into an exterior space, thanks to the retractable glass paneling. 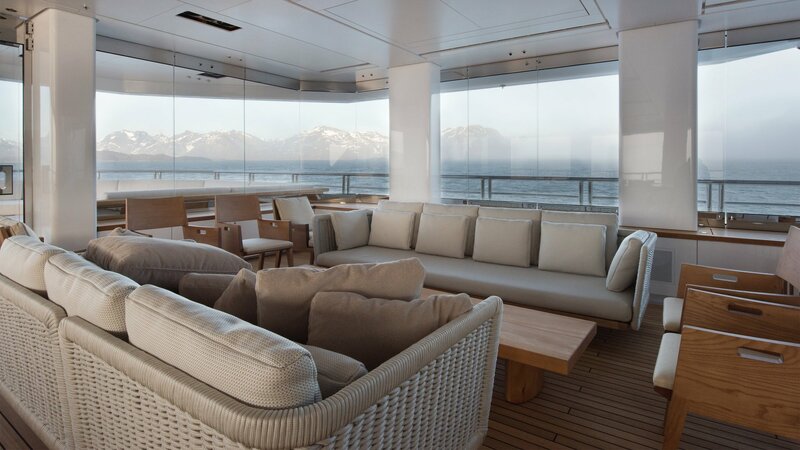 The upper deck hosts a beautiful informal dining area with ample seating and floor-to-ceiling windows. 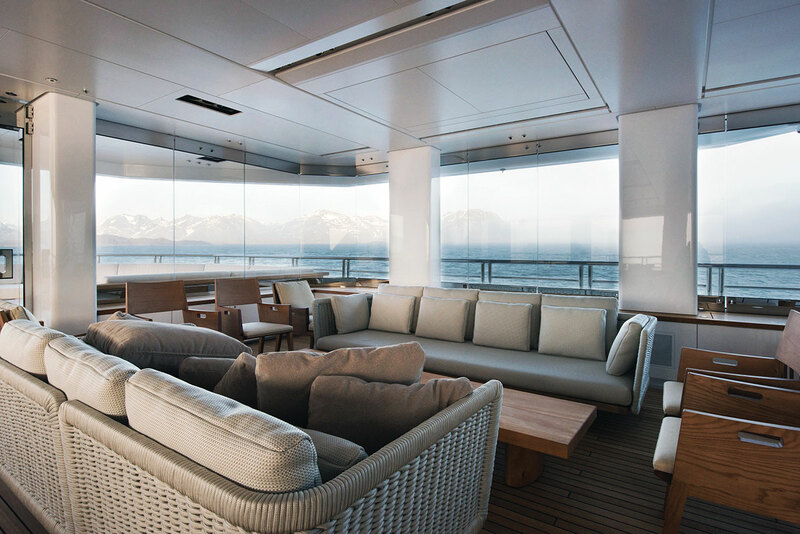 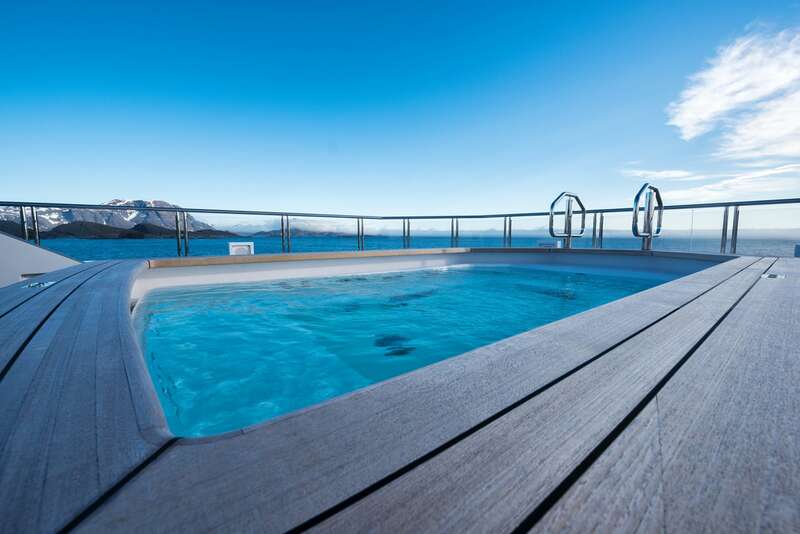 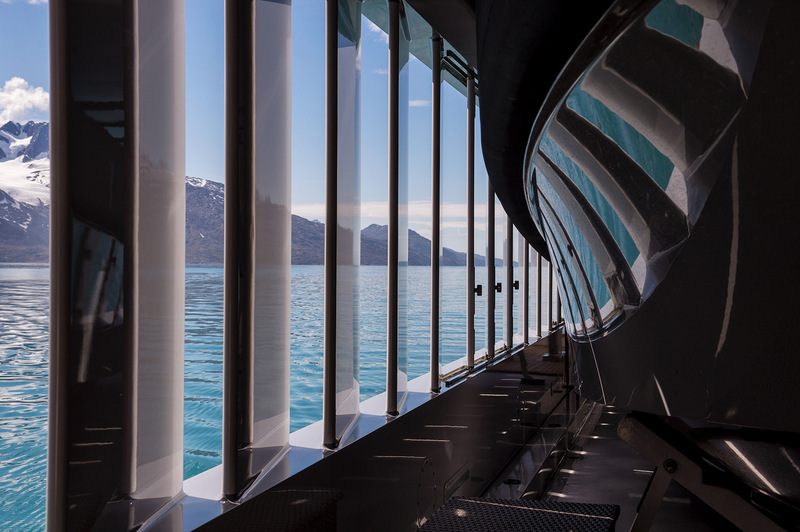 A dedicated observation area is located above the sundeck, and those who truly appreciate soaking up the sun and the stunning views will spend there quite a while. 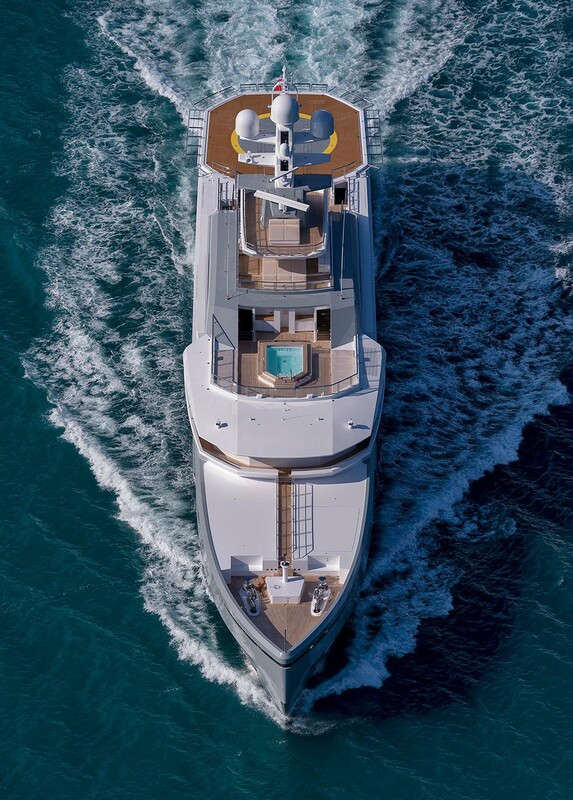 The YachtEye system allows the guests to track the yacht's motion in real time through iPads available onboard. 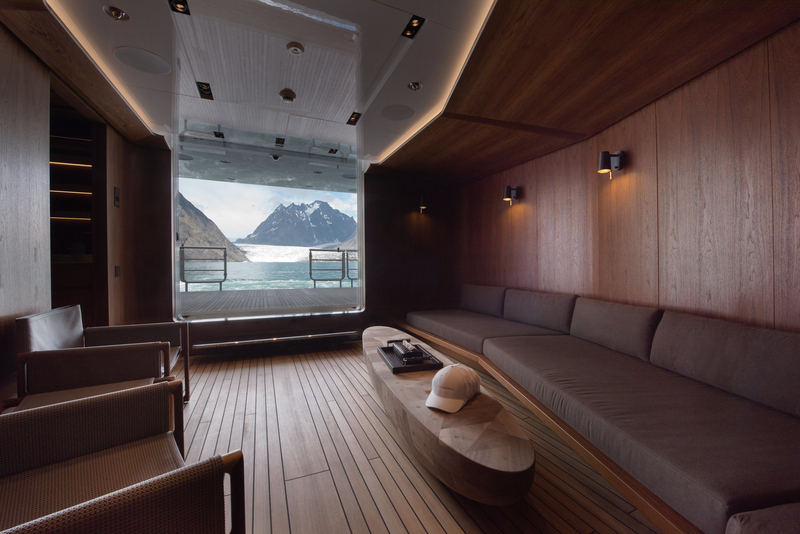 Due to her gross tonnage that exceeds 2200 tonnes, her interior volumes make her one of the most significant expedition yachts worldwide. 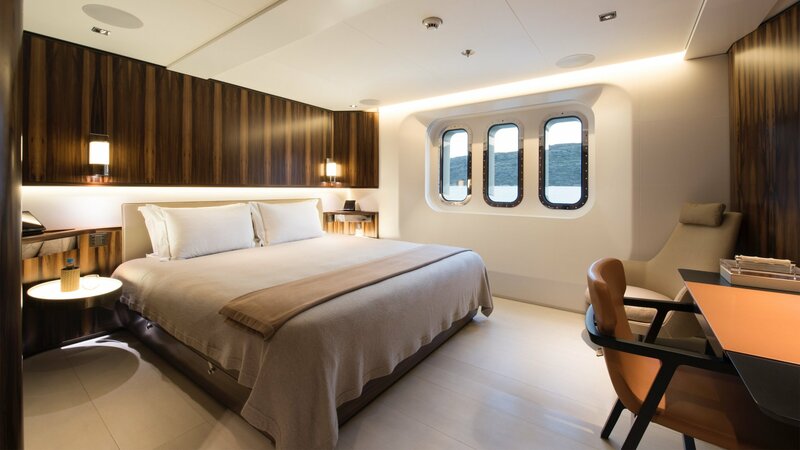 She boasts six sumptuous staterooms, accommodating a maximum of twelve guests in great comfort, style and with the luxurious amenities. 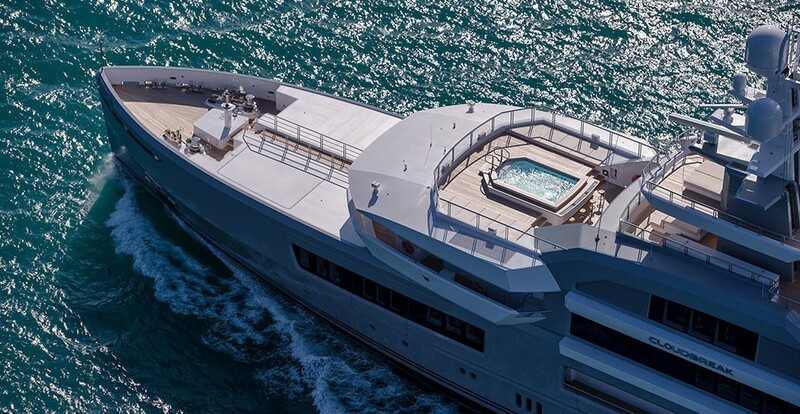 Generous exterior spaces allow for an enormous Spa pool, sunbeds, sofas and coffee tables. 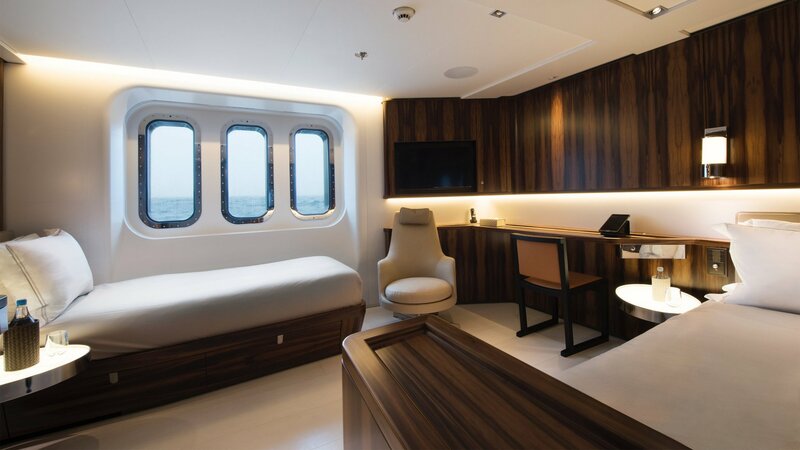 The engine room is soundproof and contains two CAT engines, which enables Cloudbreak to run with a top speed of 15 knots. 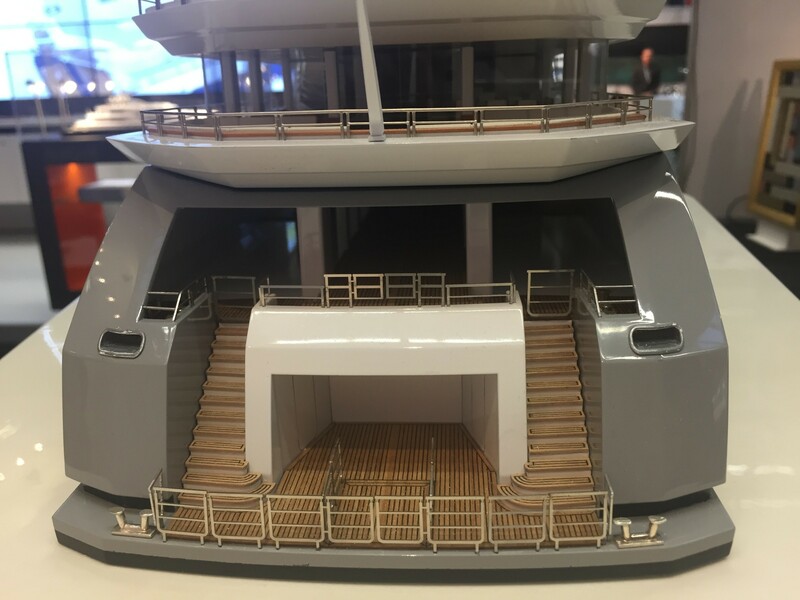 Below deck, there is a huge tender garage, where two tenders are stored. 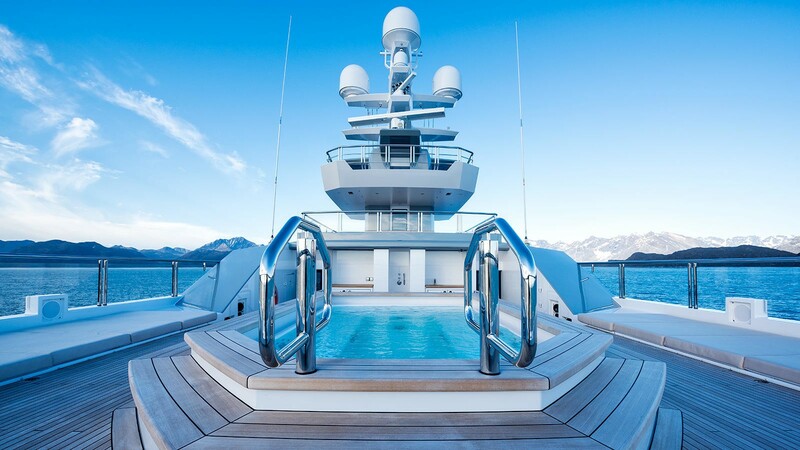 There is an array of superb water toys for some extra fun. 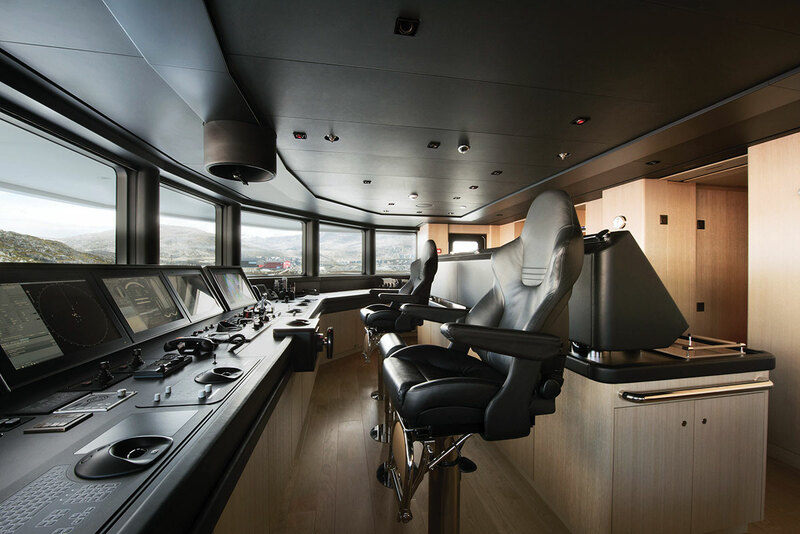 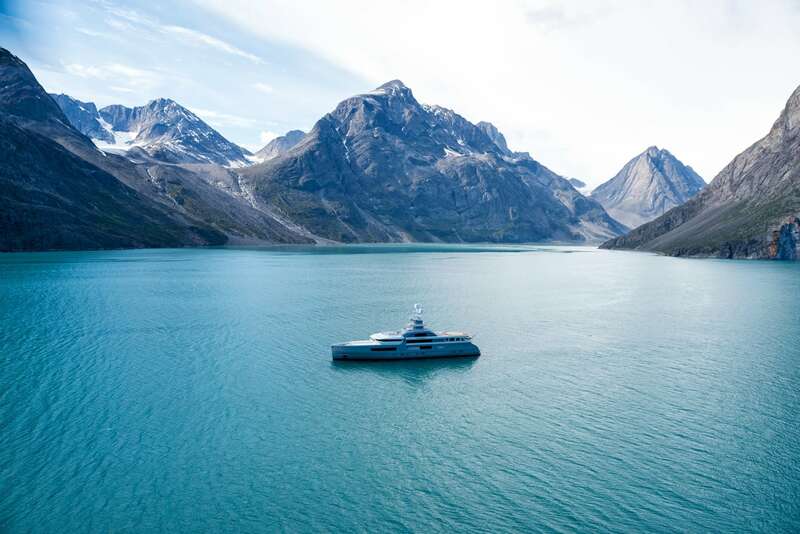 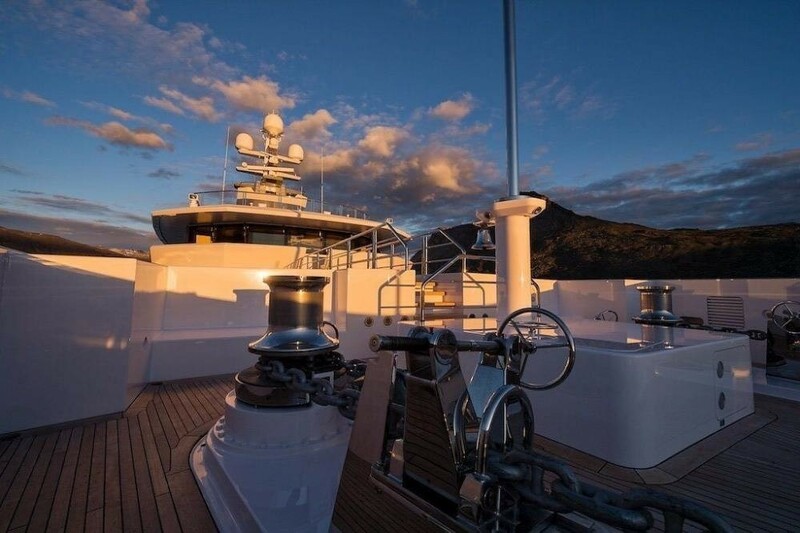 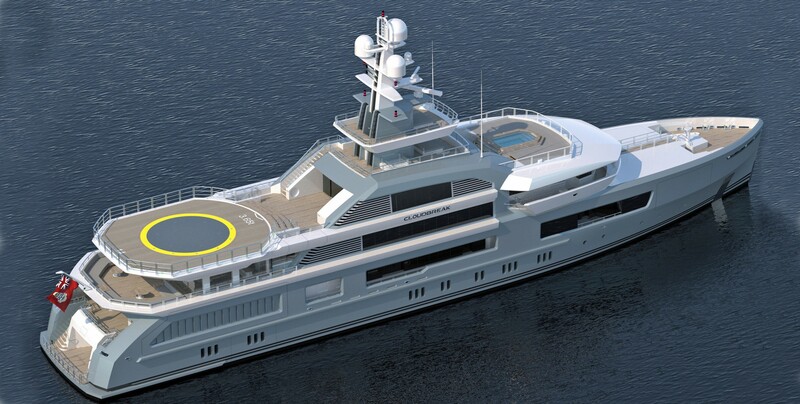 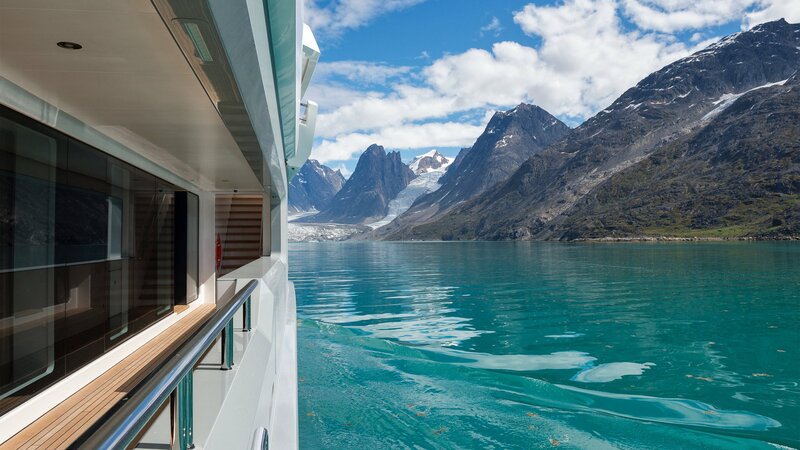 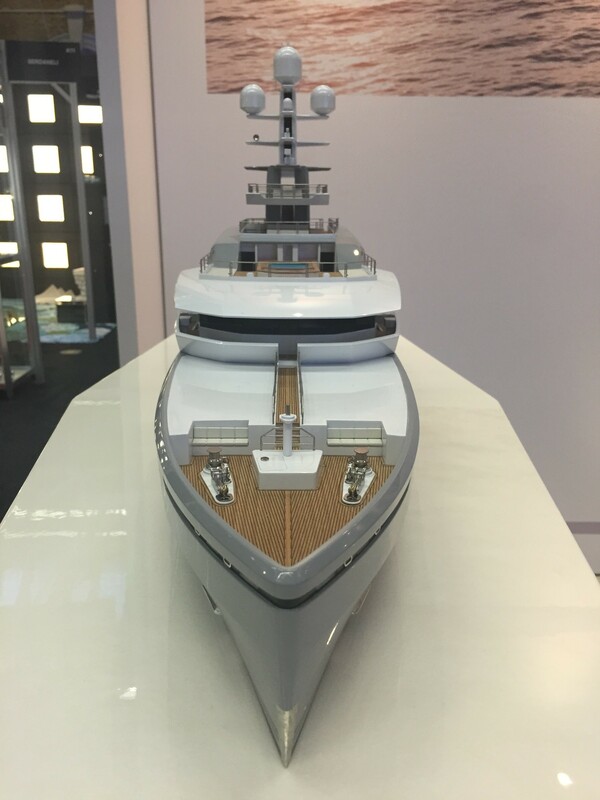 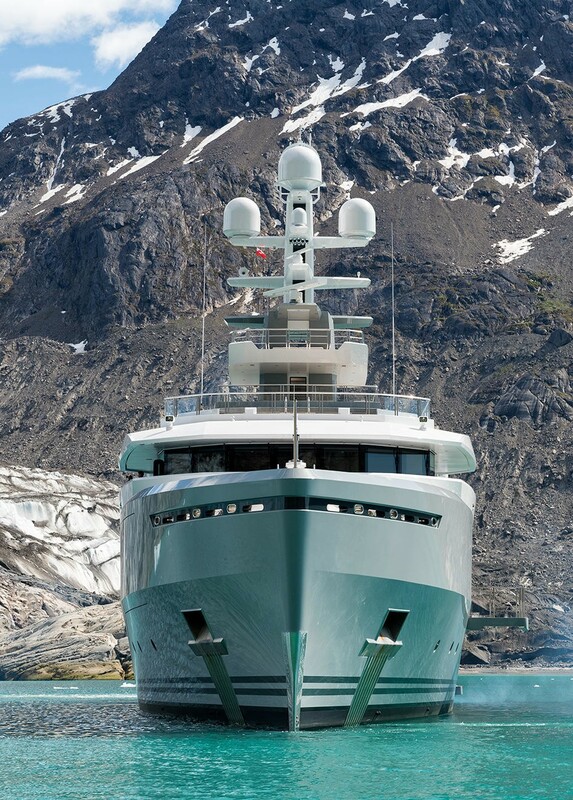 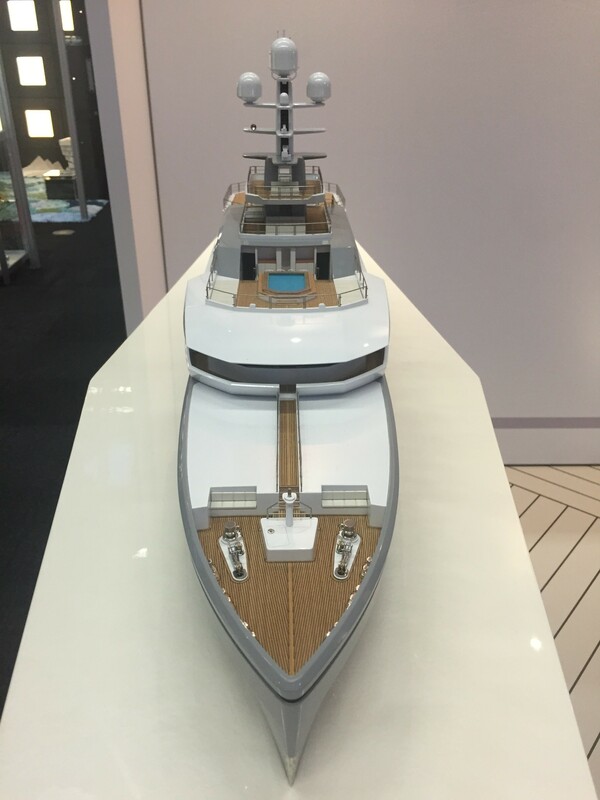 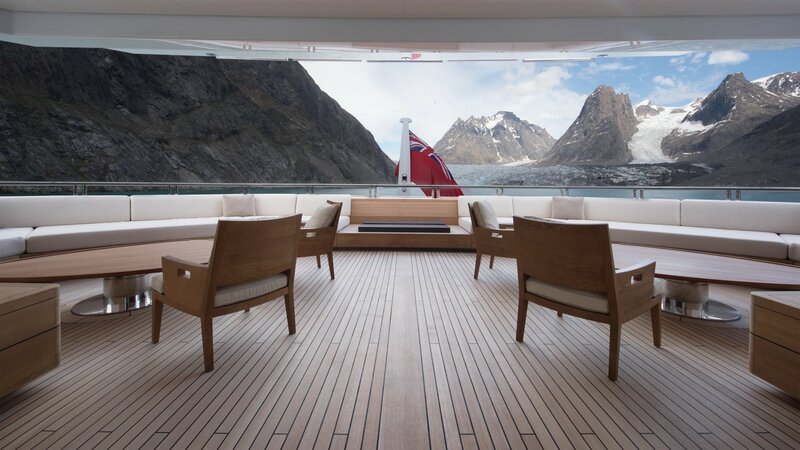 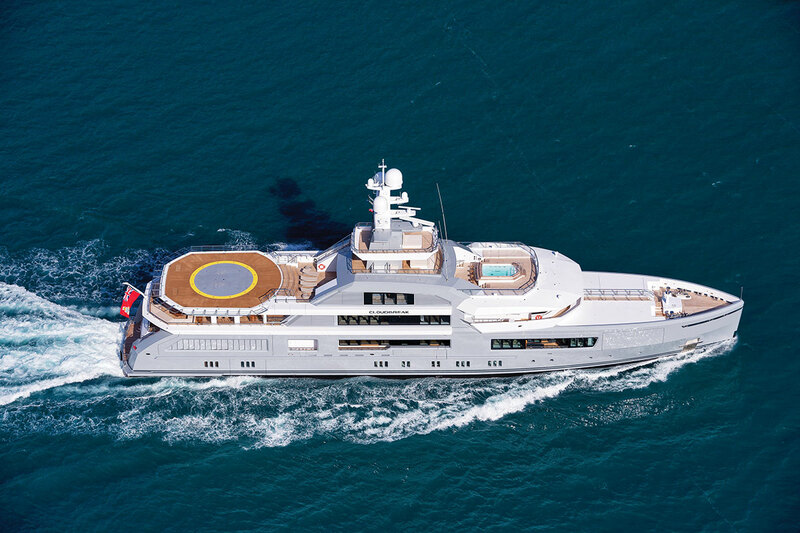 At 12 knots, this luxury explorer vessel has a range of approximately 8,750 nm. 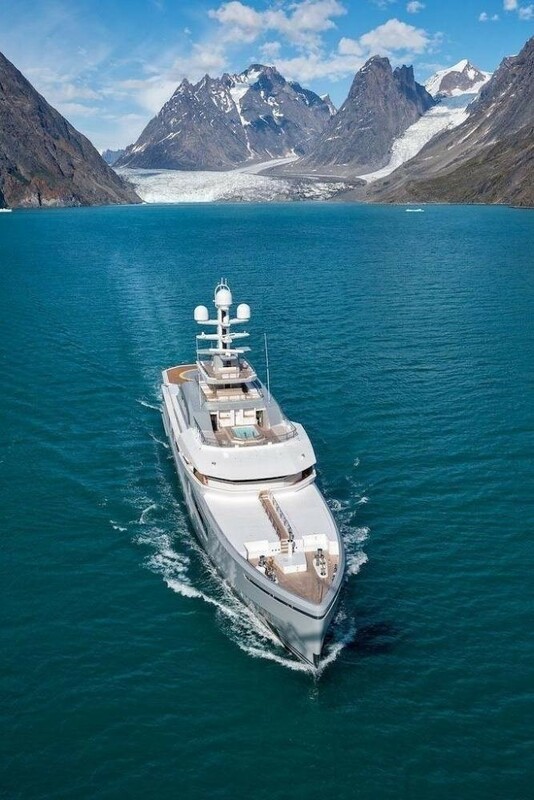 She is fully equipped with freezers and fridges, storage facilities, machinery for a significant autonomy in any waters. 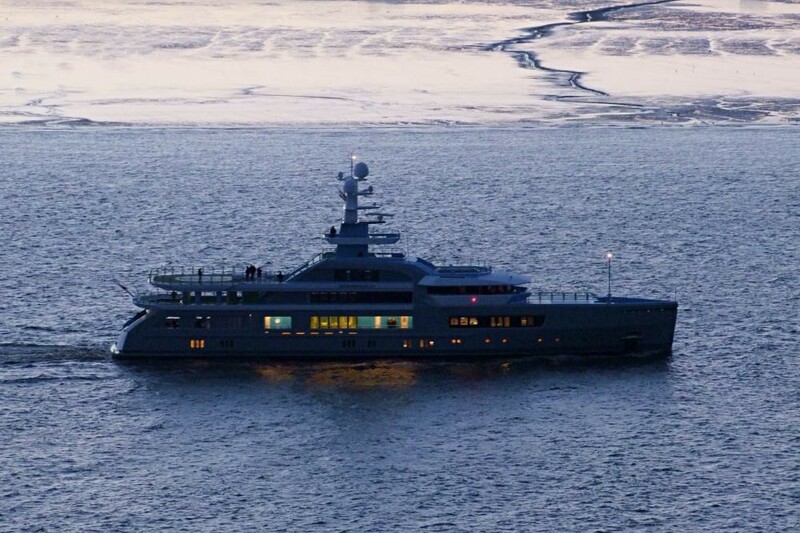 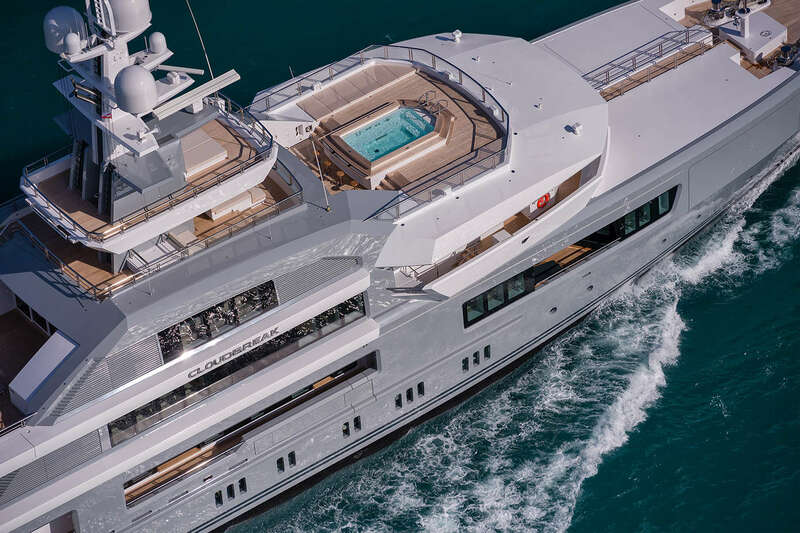 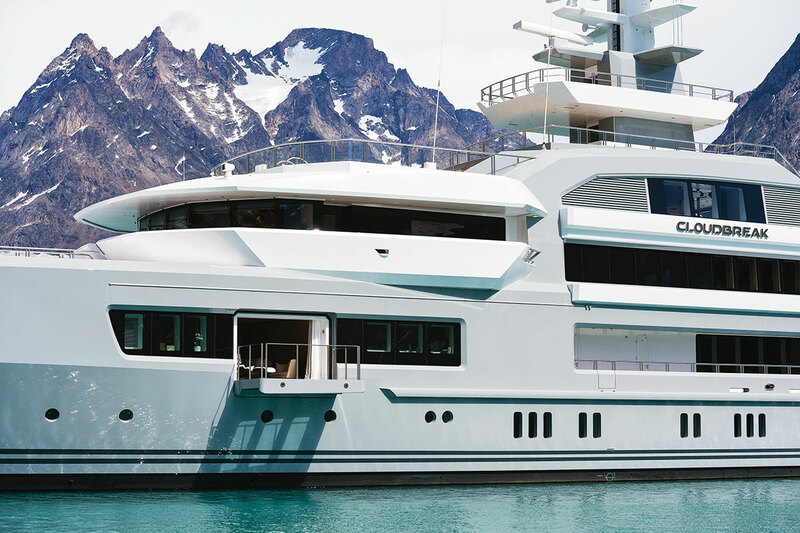 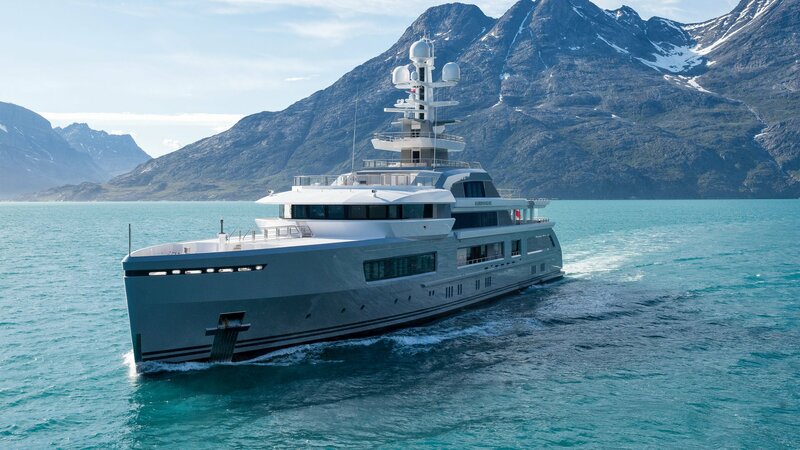 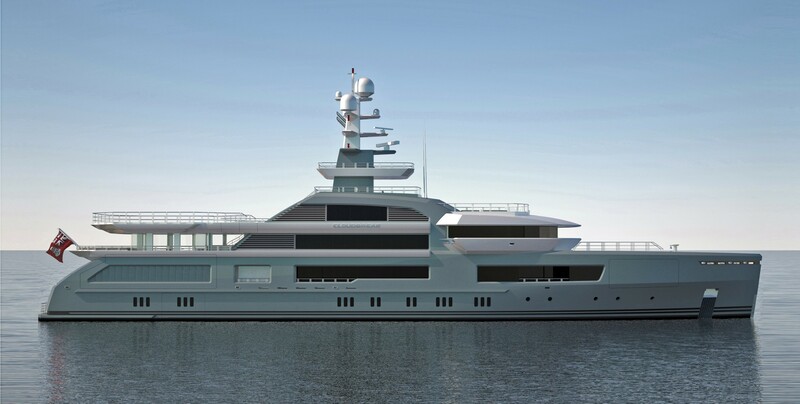 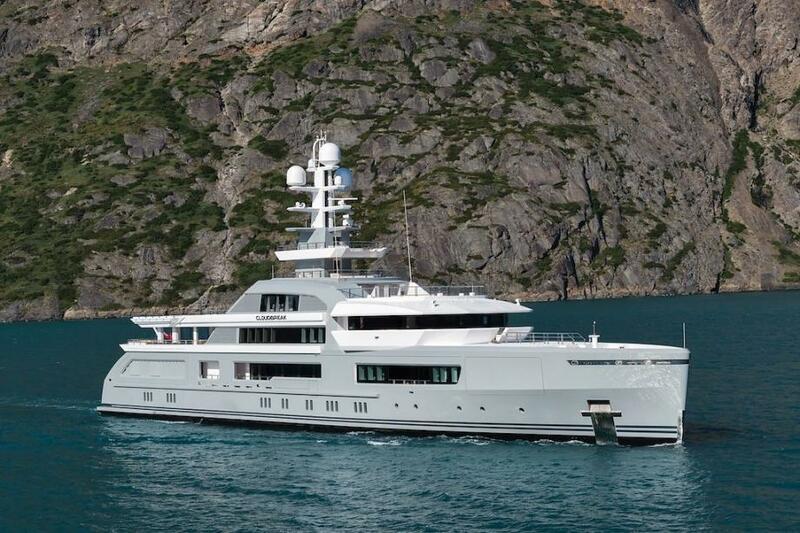 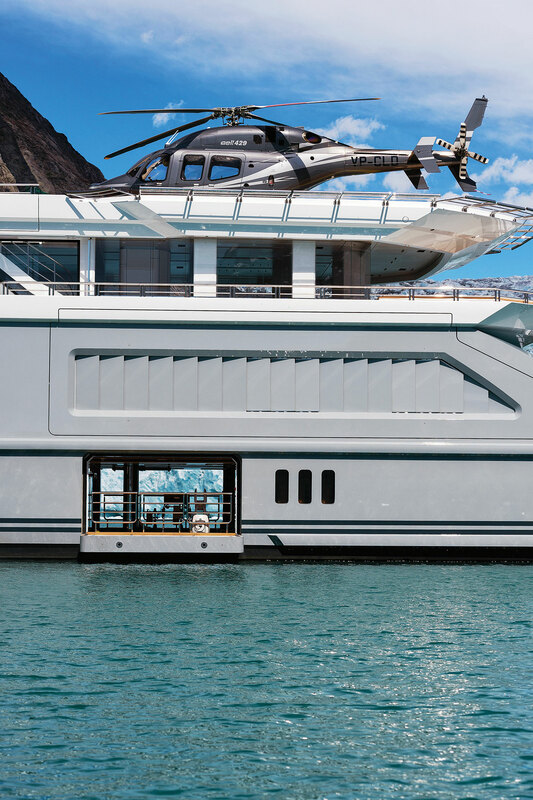 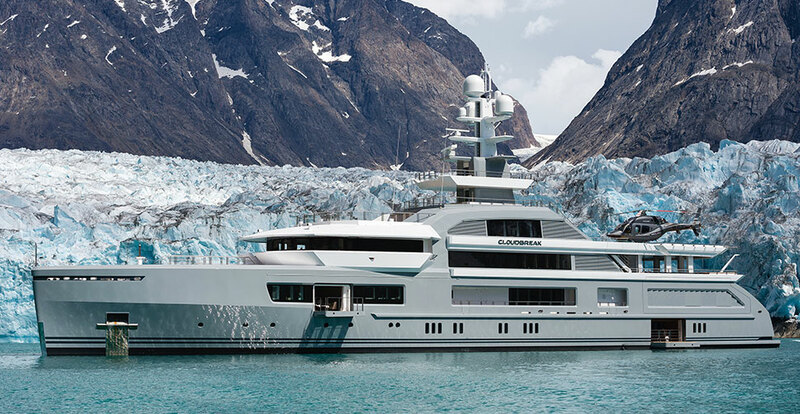 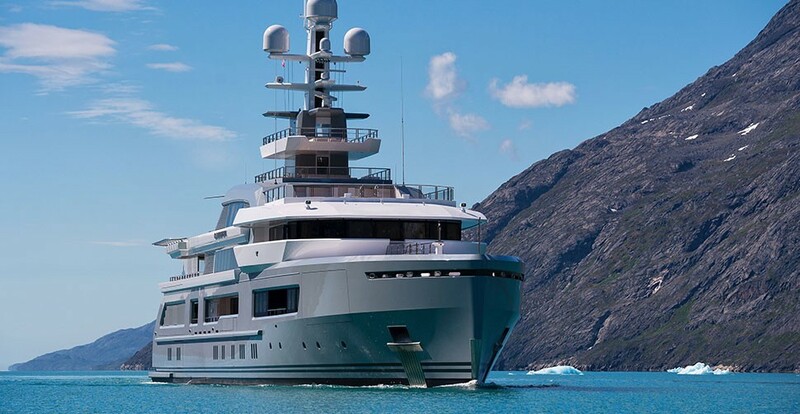 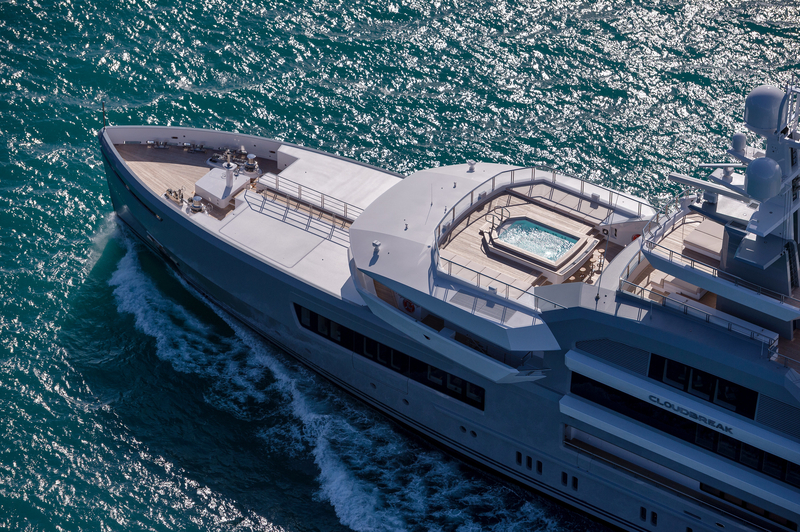 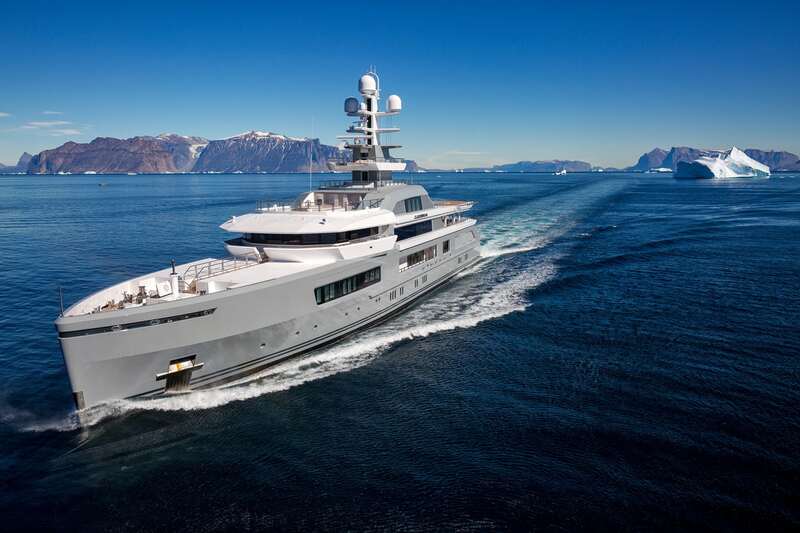 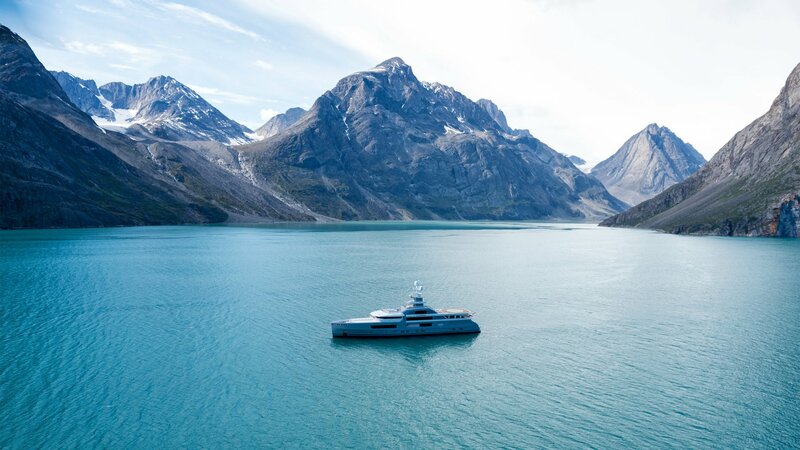 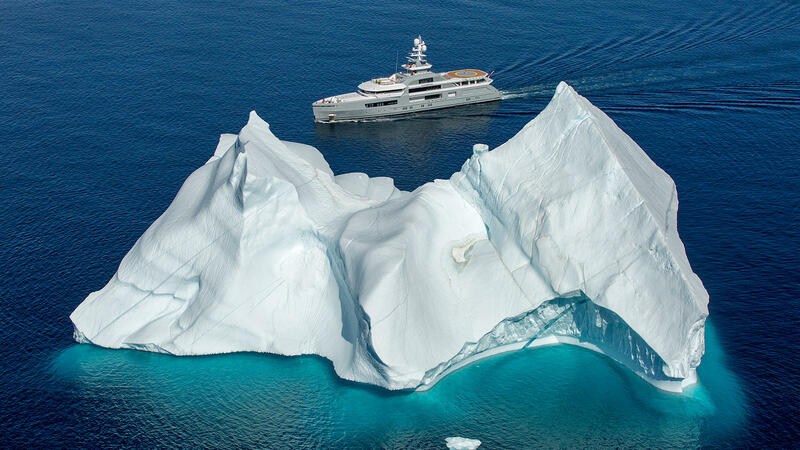 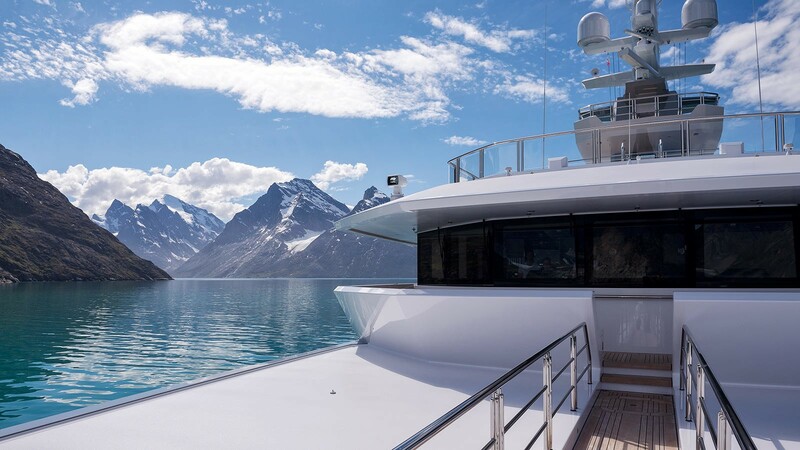 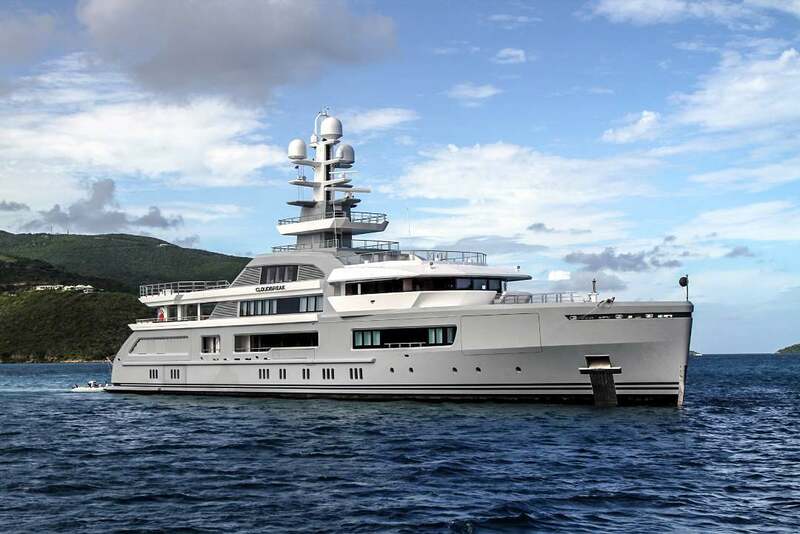 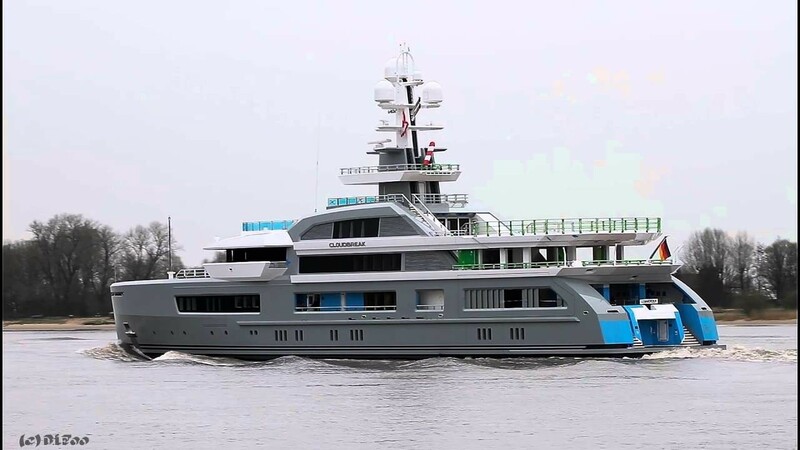 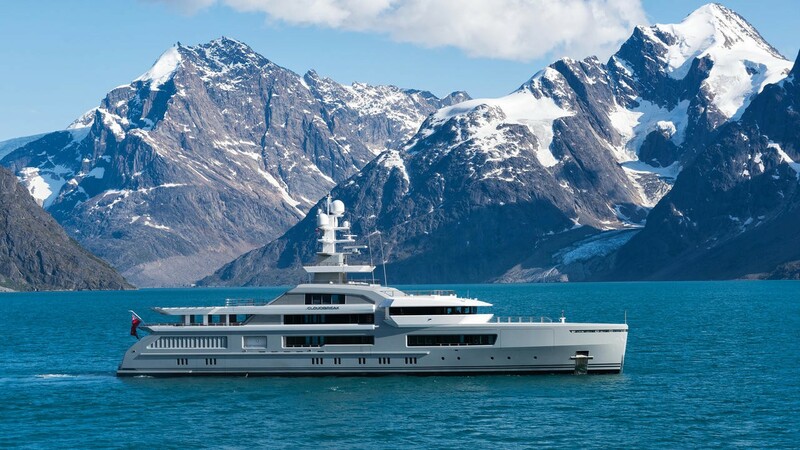 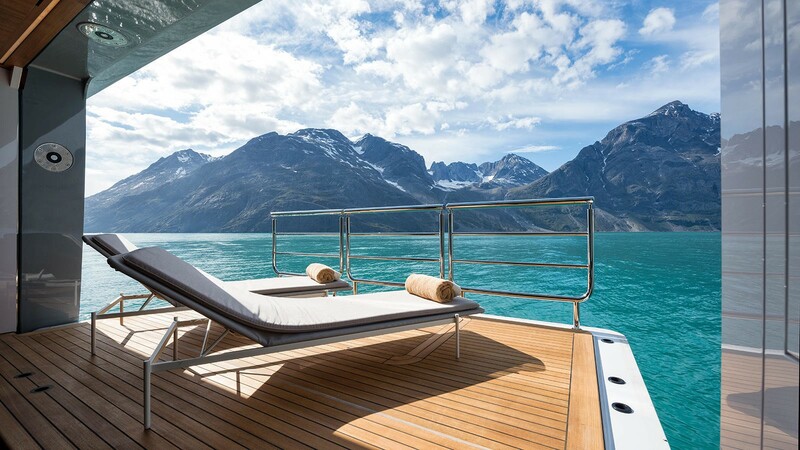 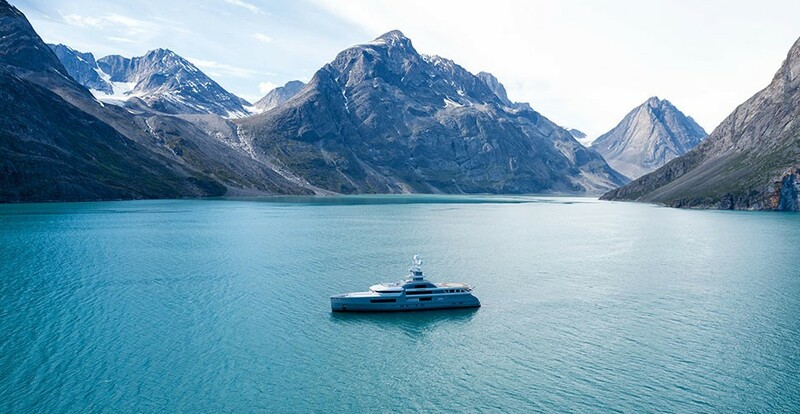 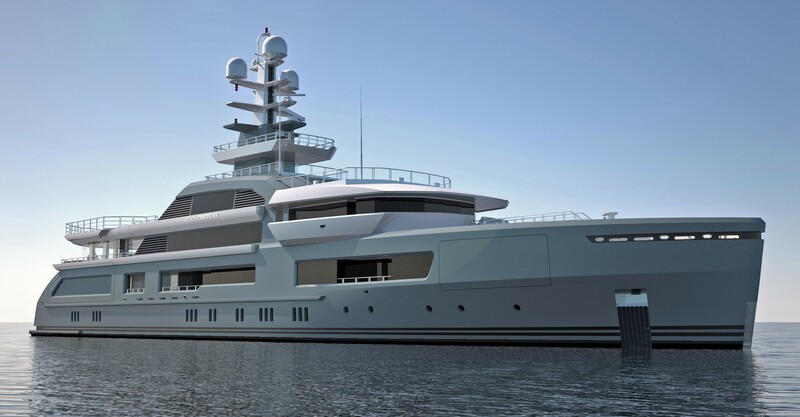 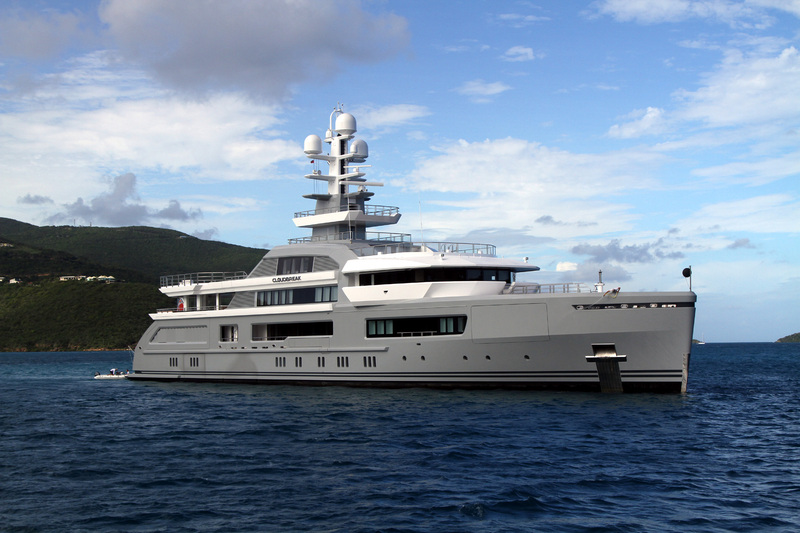 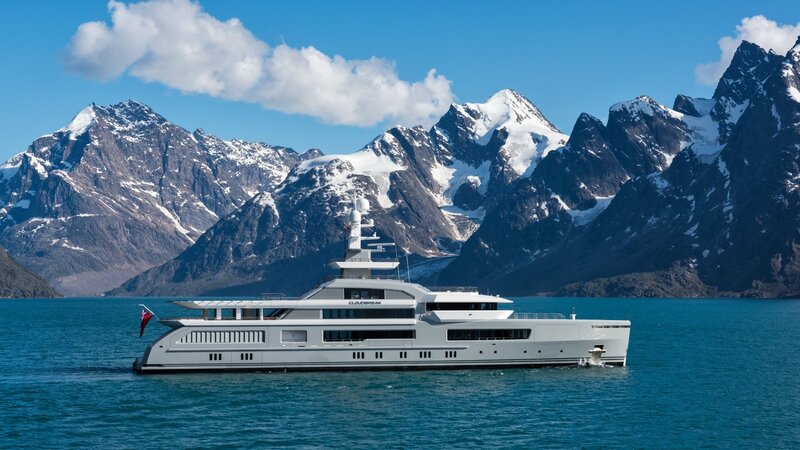 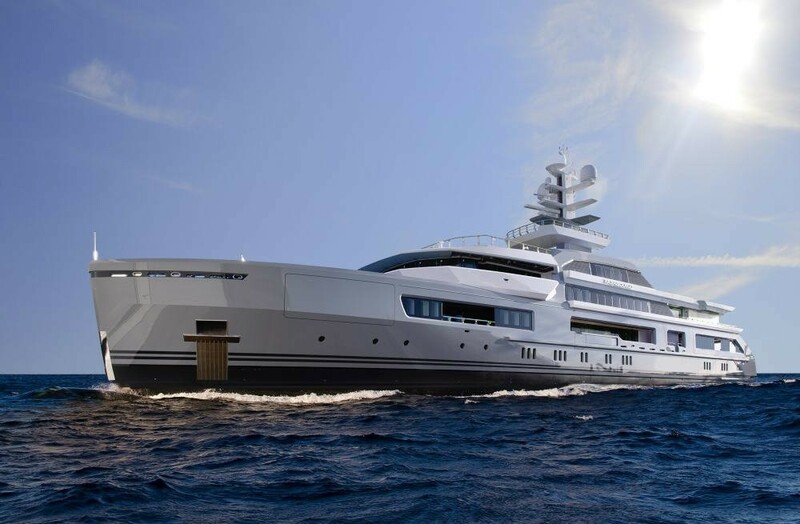 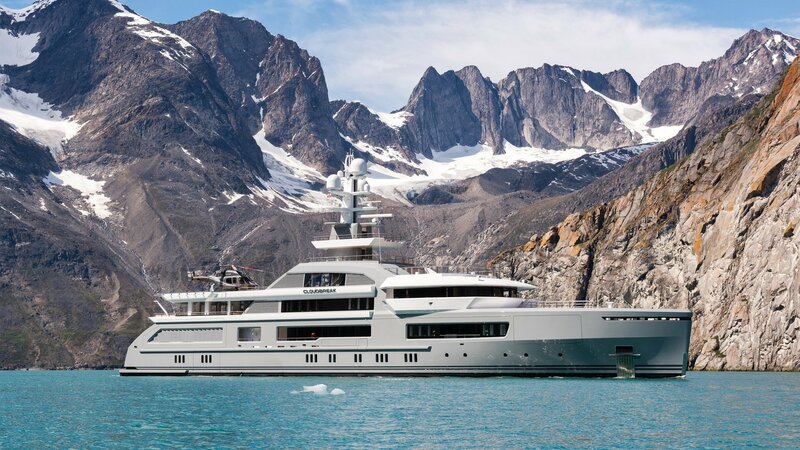 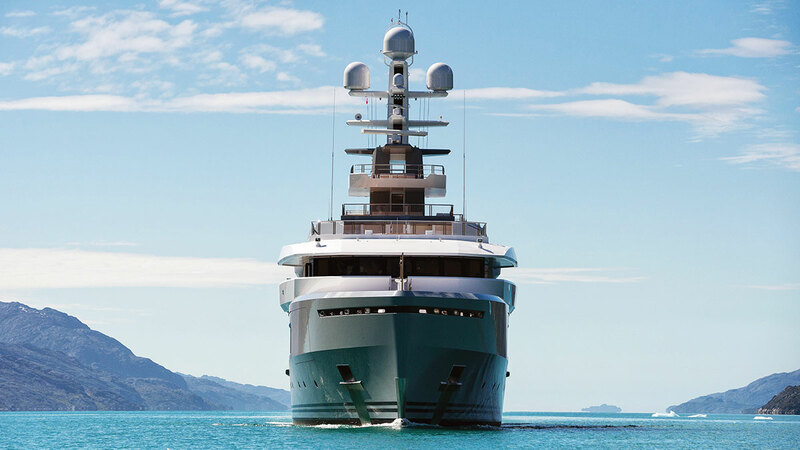 CLOUDBREAK was built with displacement steel hull and aluminum superstructure and fitted with teak decks throughout. 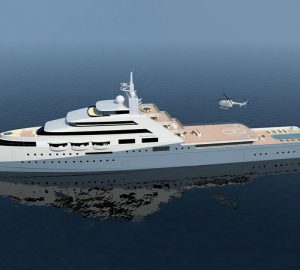 For additional comfort on board, she boasts 'at anchor zero speed stabilizers,' making her more stable in rough waters. 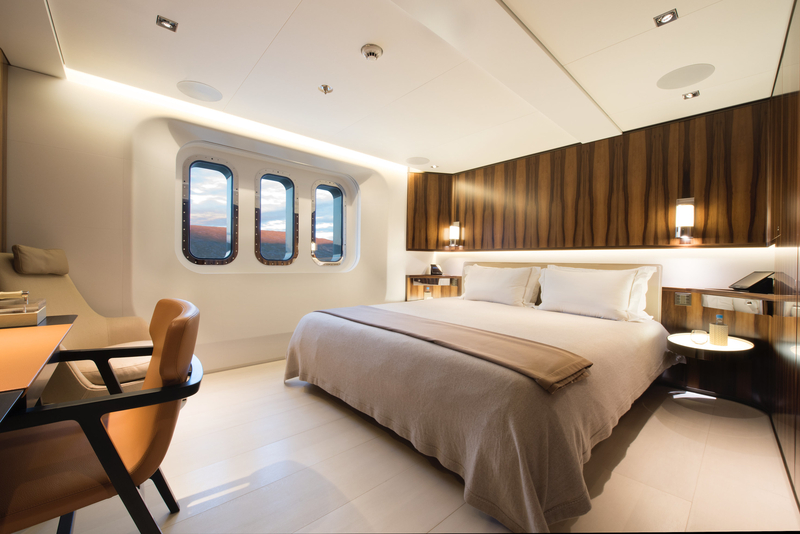 Accommodation is provided in six well-appointed deluxe staterooms, offering overnight stay for up to twelve guests. 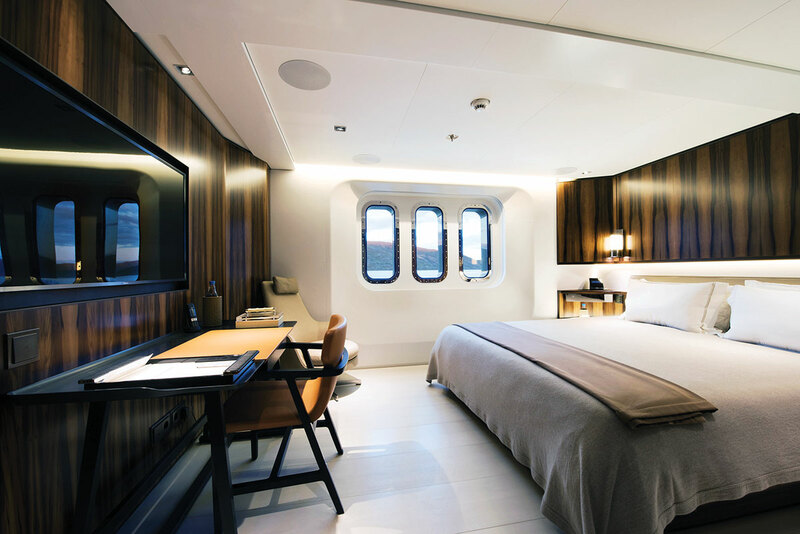 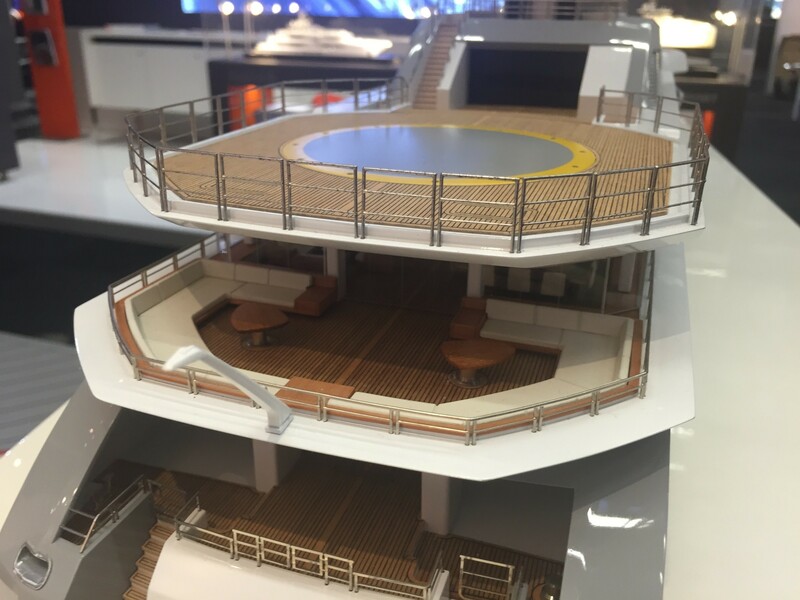 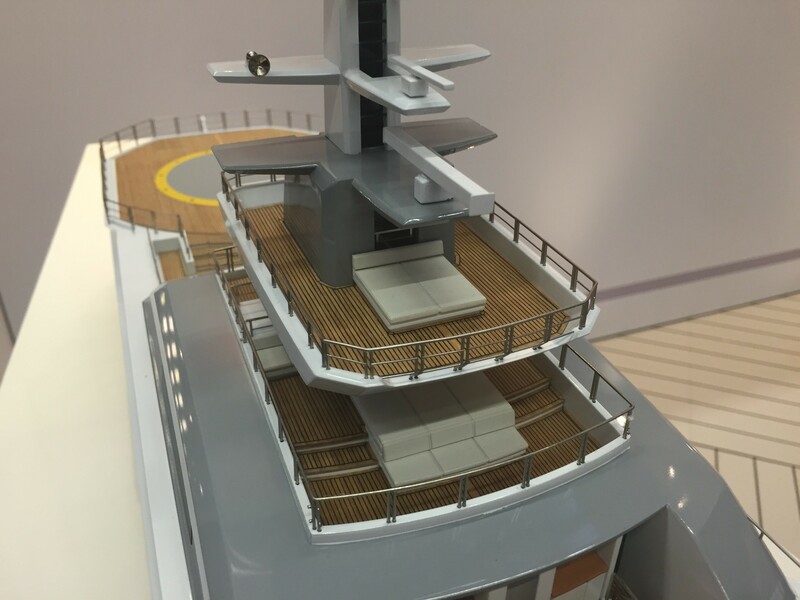 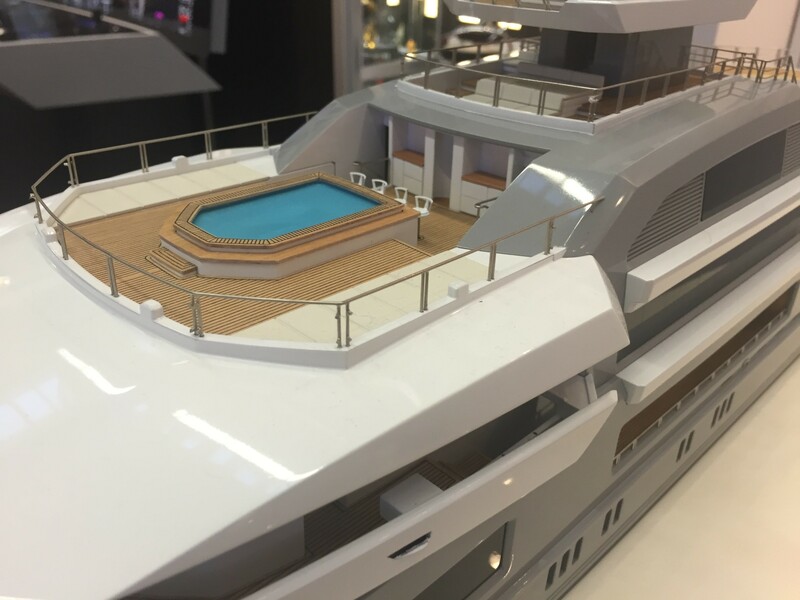 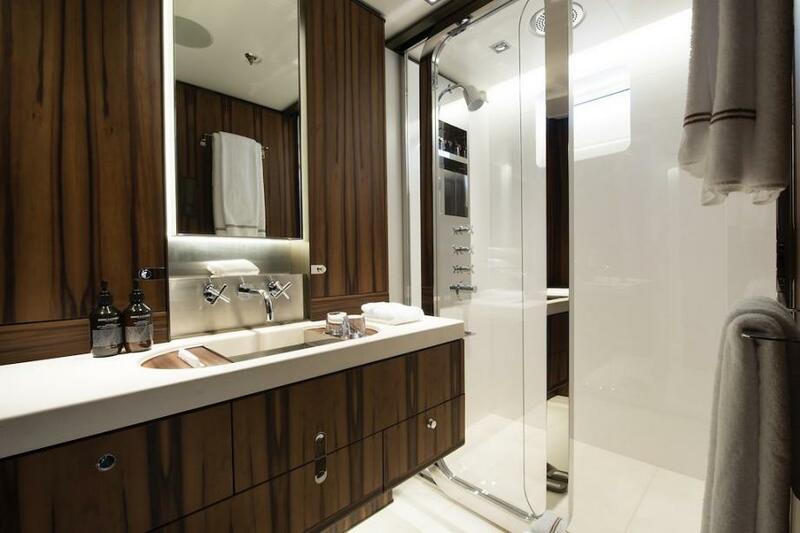 The owner's suite on the main deck features a retractable balcony and beautiful ensuite. 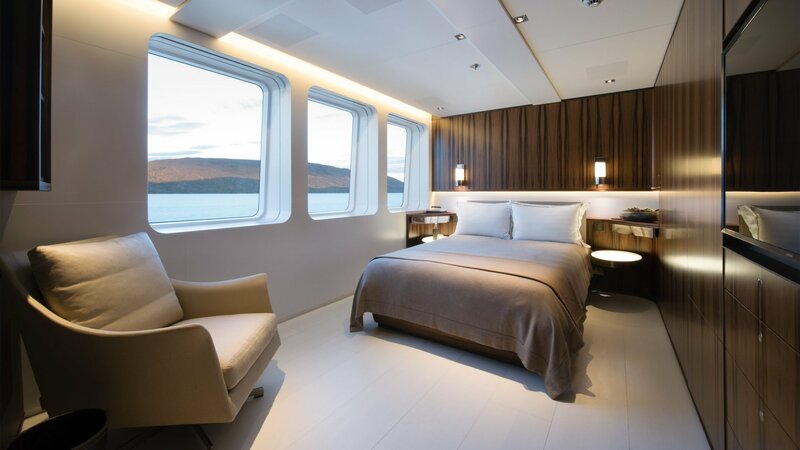 All guest cabins are filled with natural light and have bright and welcoming ambiance.